After a very tiring trip in the past couple of days, we woke up in the morning. It was 10th September 2017. I opened the window and can see semi-rural scenery out there. 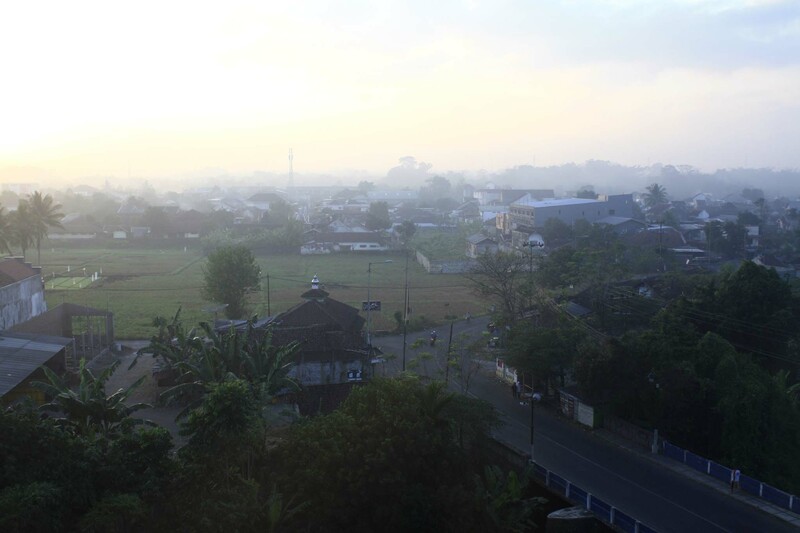 It’s quite surprising to find out that Jember is not as urbanized as I initially thought. I believe that up until recently, this area must be a rural outskirt of the town. 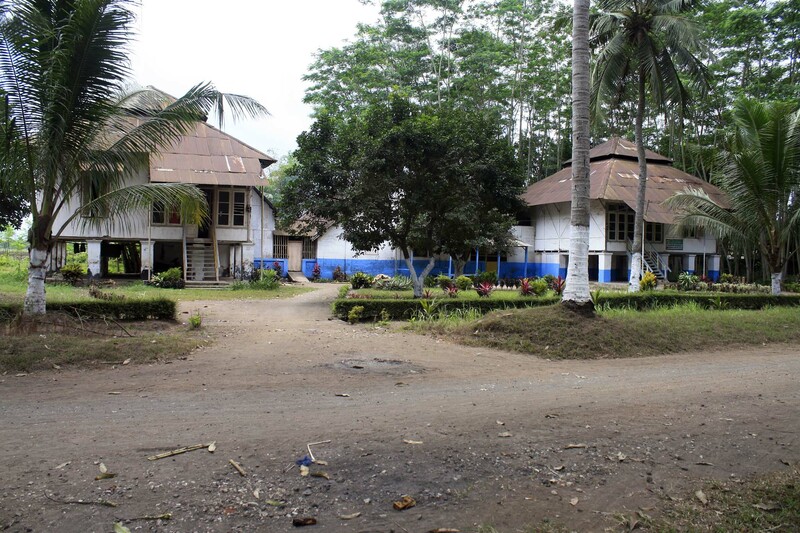 But it is gradually swallowed by the town’s expansion. 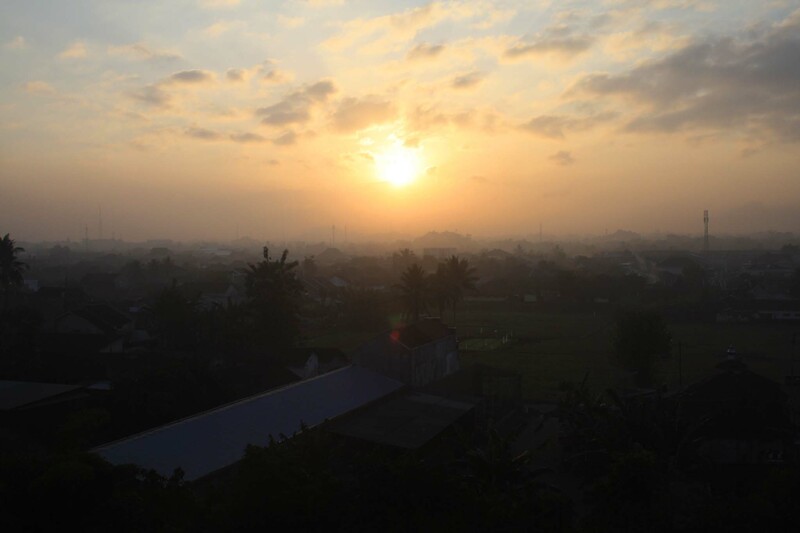 Nevertheless, it is also an excellent place to see sunrise as well. I went down alone to have breakfast. My brother said he would like to enjoy some rest because today he would not going along for the tour. 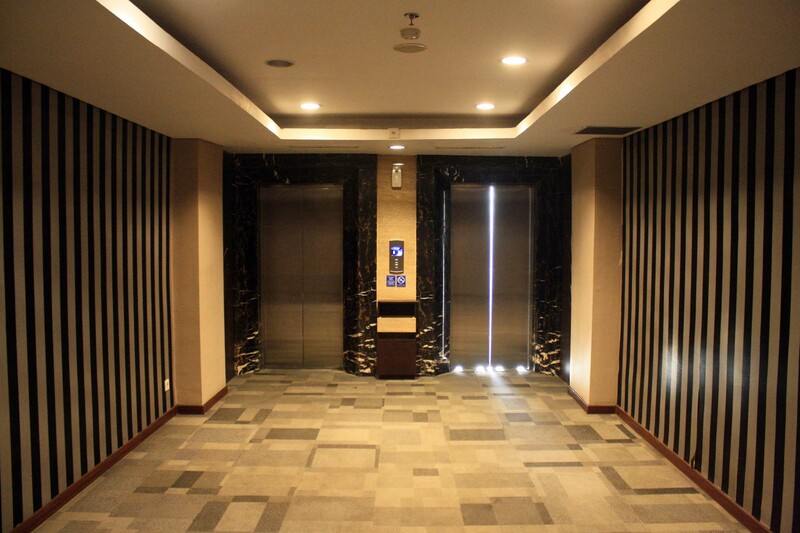 As I went down stair, I use the opportunity to take some photos of the hotel interior. This hotel was opened in late 2013. 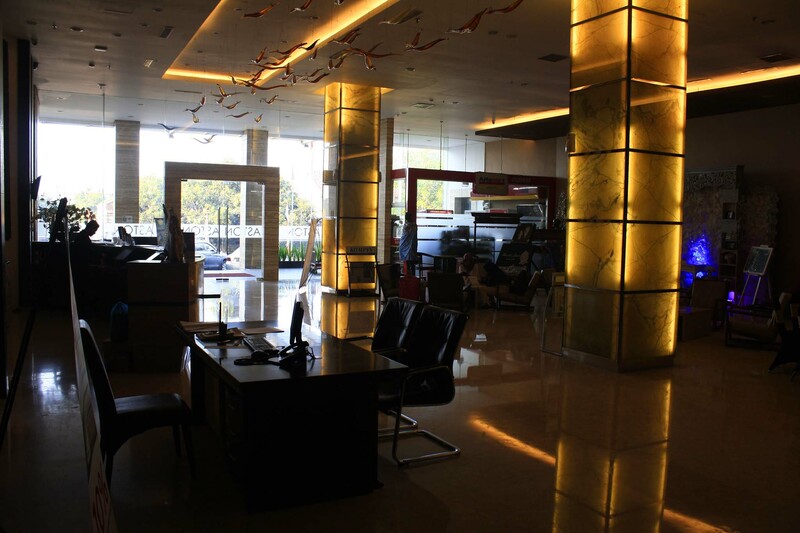 Although quite new, the interior design looks passé for a hotel of this age. 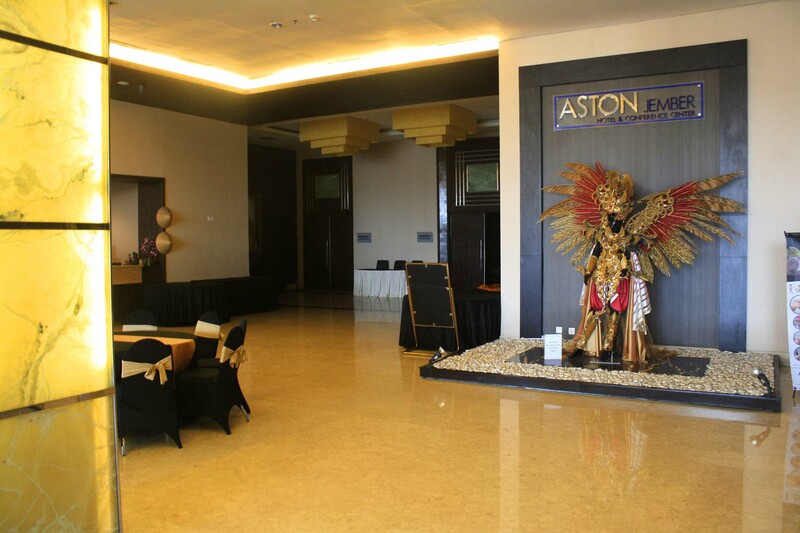 Quite a stark contrast to Aston hotel in Madiun, which I stayed in 2015. 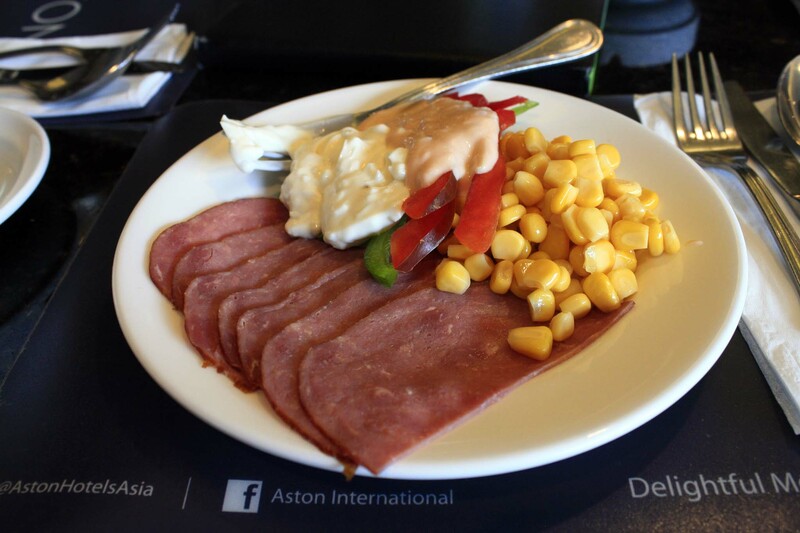 The breakfast is served at the hotel’s restaurant. 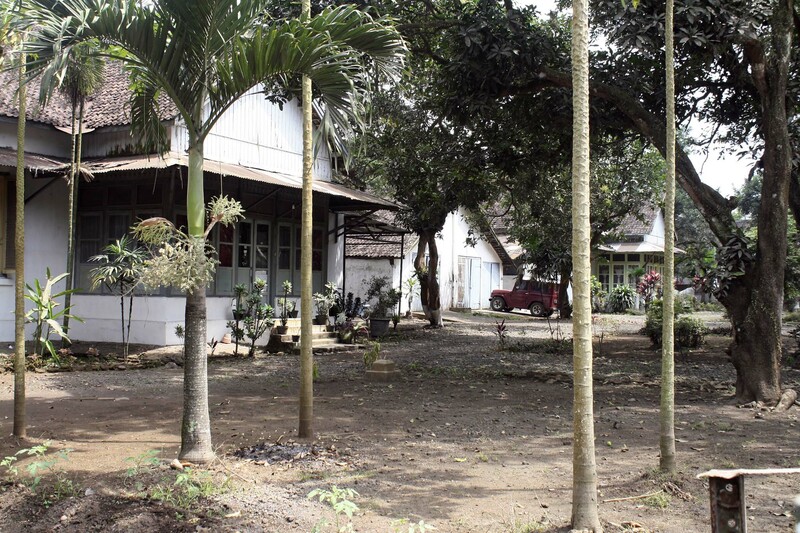 Interestingly, although part of the hotel, it is branded as “Bumbu Desa”, named after famous Sundanese restaurant chain. The logo even looks similar. Yet the foods that they serve that morning are anything but Sundanese. As I usual, I took western menu that feature no rice. The starter tasted okay. 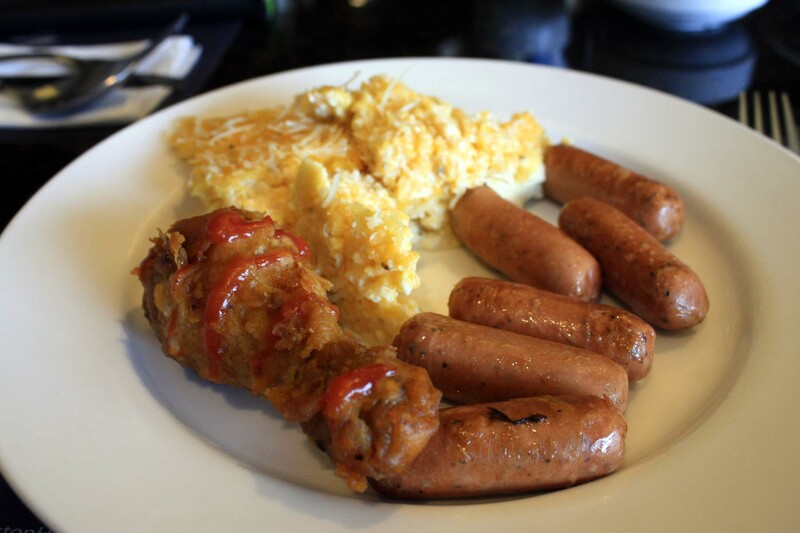 Then I proceed to the main menu which consist sausages, spicy fried chicken, and polenta. I’ve never tasted polenta before, so I took some out of curiosity. Although the sausage and the fried chicken tasted nice, the polenta is too starchy. The texture is rather heavy for breakfast menu. While I was enjoying the breakfast, Geoff and Joop come to have their breakfast. They had wonderful rest last night. Geoff said he had a sound sleep, and really happy about the hotel selection. Joop also enjoyed the sleeping. However, also notice that Joop’s face looks rather pale. He said that he actually have digestion problem, akin to food poisoning. 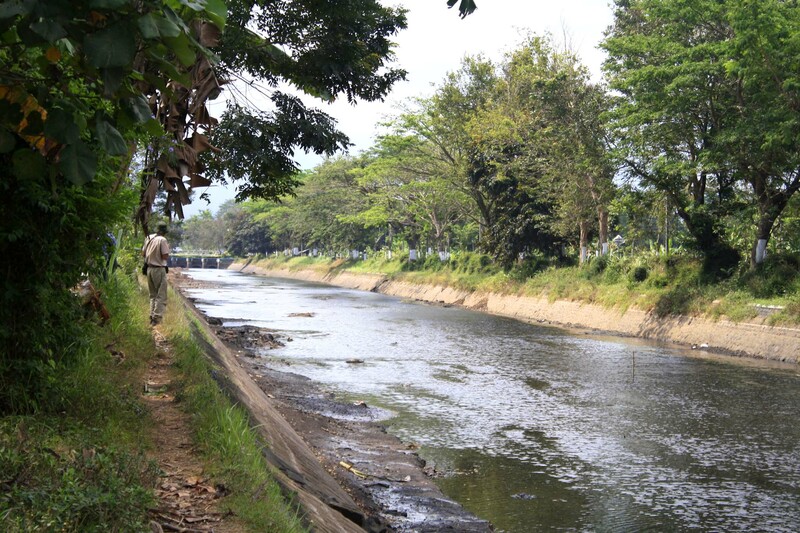 This problem traced back during his tour in Sumatera where he contracted some bacteria during one leg of the tour. Although he feels much better now, his meals are always accompanied by Norit. He looked much weaker than yesterday. I asked him whether if he need some rest. His reply is no. His only request is for me to drive slowly, so he would feel less pain. After we finished our breakfast, we return back to our room to prepare for our journey. After having shower and dressing up, I return back to the lobby to meet both of them, before heading to out at 08.30 in the morning. 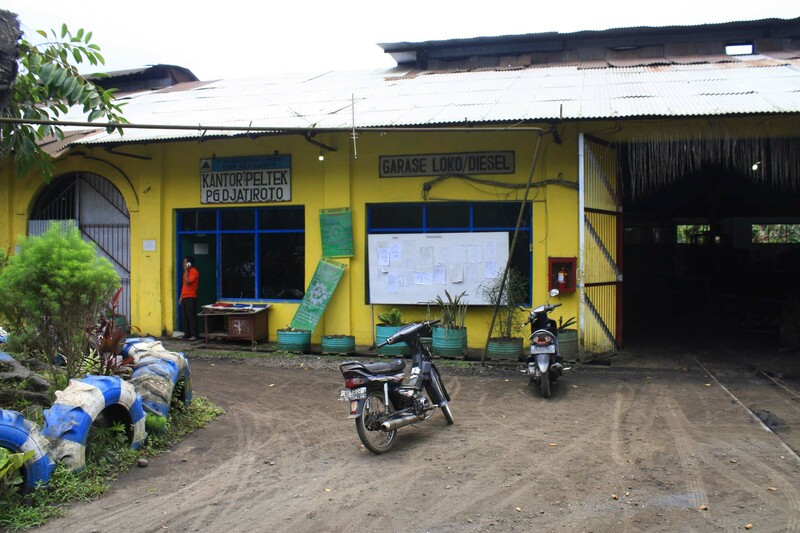 Our today’s itinerary is visiting Jatiroto sugar mill. We are focusing our activity today to chase after the field train. 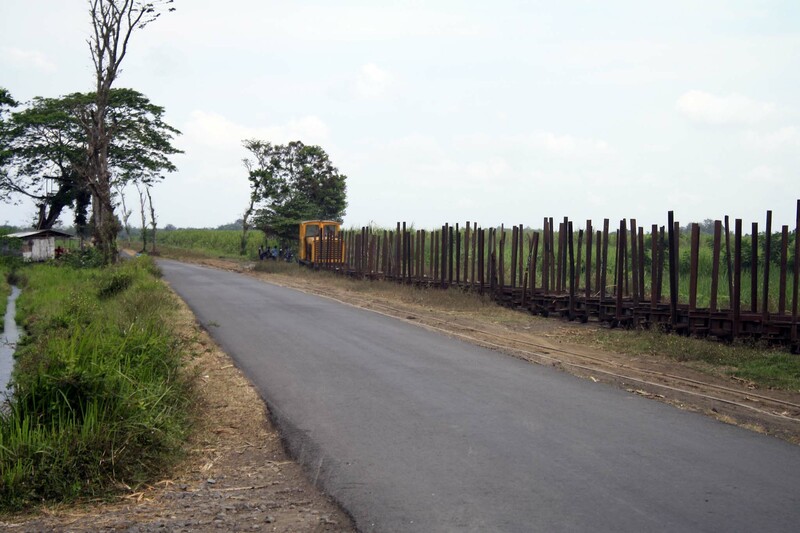 This will be a unique one, considering that Jatiroto currently operates the largest field lines network in Indonesia, and it too is also connected to the neighboring Semboro sugar mill whom is currently the second largest! 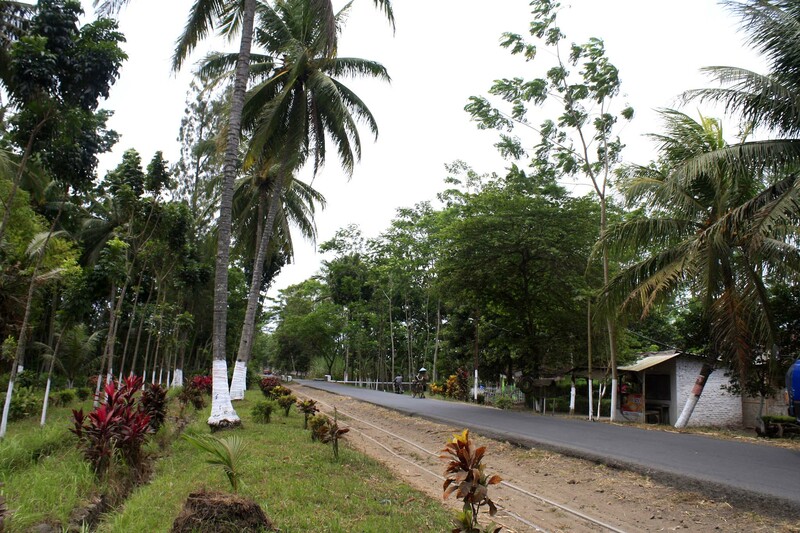 The drive from Jember to Jatiroto is an easy one. It was Sunday morning traffic, and there were very few cars or buses around. 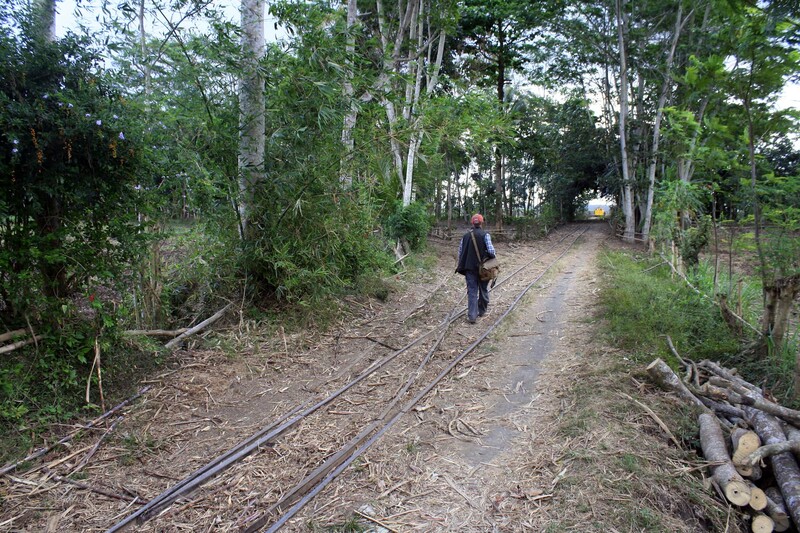 This route also sees very little truck traffic (aside of some sugarcane carriers) as most of them would ply north coast. After 30 minutes’ drive, we finally arrive at Jatiroto. It is the first time I came to here, but prior to this journey I’ve made some “familiarization trip” by using Google street view. So when I came to this place, all places look quite familiar to me. Yet, it doesn’t prevent me from taking the wrong way. Apparently, I missed the entrance gate! 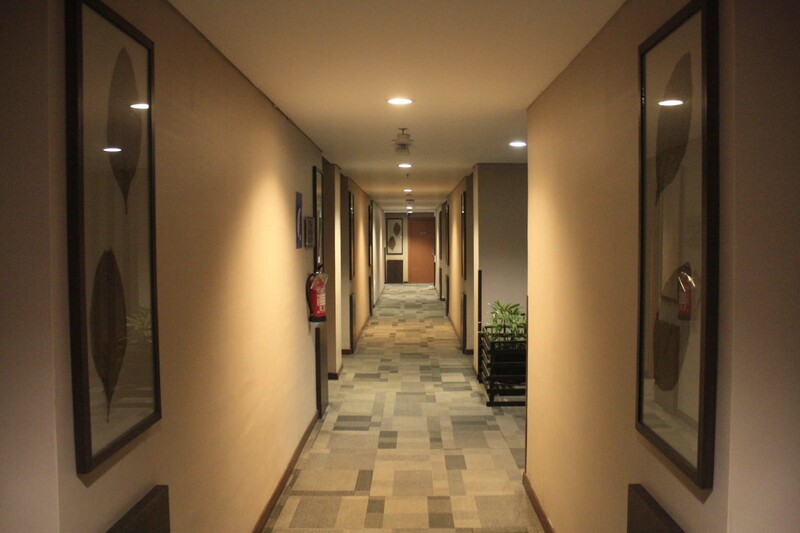 So, instead of going through main entrance, I went into the employee housing complex! But actually, it’s not a wrong thing to go to here actually. Joop asked me to stop in one of the classic houses in here. He said that one of his friends in Netherlands used to spend his childhood in here. So he wants to photograph the neighborhood for his friend. The row of classic Dutch-era houses, combined with unpaved road, gave a strong atmosphere of bygone era in here. Indeed, had the trucks and modern automobiles are replaced by horse or buffalo hauled carriages, this place would feel like in early 20th century! From the housing, we do some brief exploration of the nearby field lines. There were no activities to be seen over there. While waiting for some movements, they suggesting visiting the locomotive shed to see some interesting collections inside. Although entering the mill complex is part of the itinerary, I actually wished to avoid spending exorbitant amount of money just for entering the complex. So, I devise some plan to avoid such thing, by not revealing too much information about our intention. 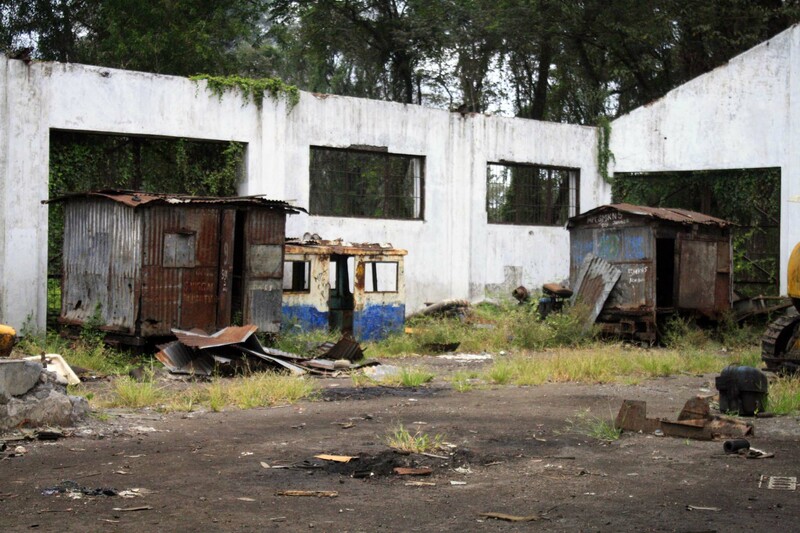 We first went into the entrance way to the loco shed, which is quite near to where we took the photo of the houses. I was met with one security who asking my purpose. 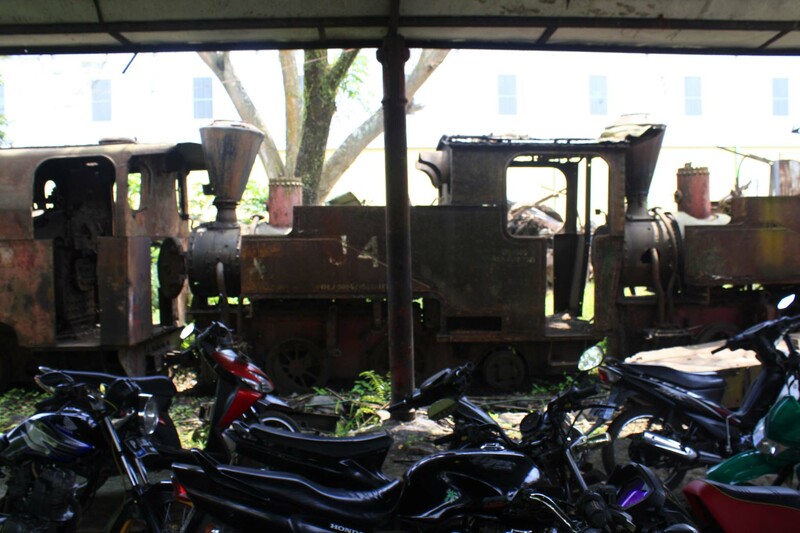 I politely replied with smile that my group wants to make brief visit the locomotive shed. The young security officer, uncertain on making decision, decided to direct me to the main security post at the entrance gate. Now this will be the moment of truth for me. Would I be required to pay hefty amount of money, just to make a brief visit, or would they only charge me small amount of money? Much to my surprise, the officer gave me the pass to enter, and charged nothing! He only asked me to drop my ID card, which can be retrieved back again upon completion of the visit. I returned back to the car, slightly relieved, and then head back to the shed entrance. I didn’t say much about the problem to both of them, because I don’t want to bother them. Upon returning back to the shed entrance, I showed the pass to the security and thankfully we are allowed to enter! 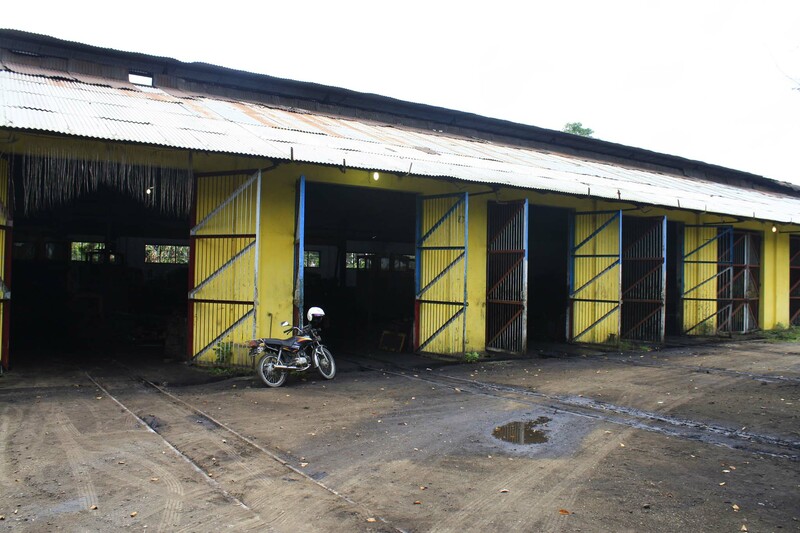 After parking the car in a shady corner, we start exploring the locomotive shed. Along the way, we catch up with the diesel number 25 doing some shunting work in the yard. 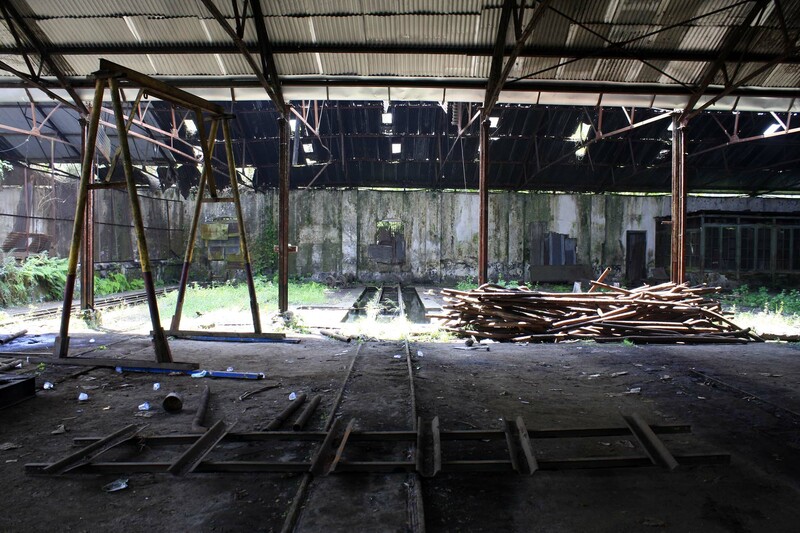 Jatiroto sugar mill doesn’t just have massive field lines network, its yard is also really big. Indeed the journey between the mill entrances all the way into the mill building itself can take more than 15 minutes. 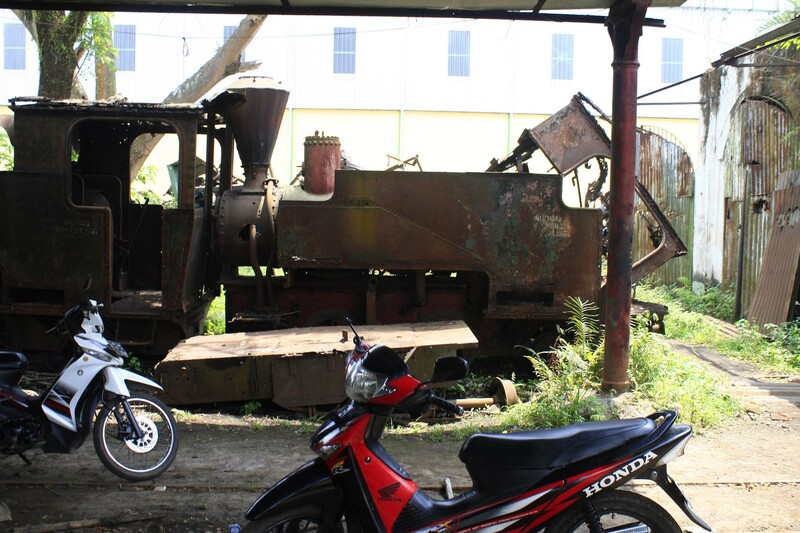 In smaller mills, that is similar to journey between the entrances to the nearest sugarcane cutting area. We walk slowly to the locomotive shed. 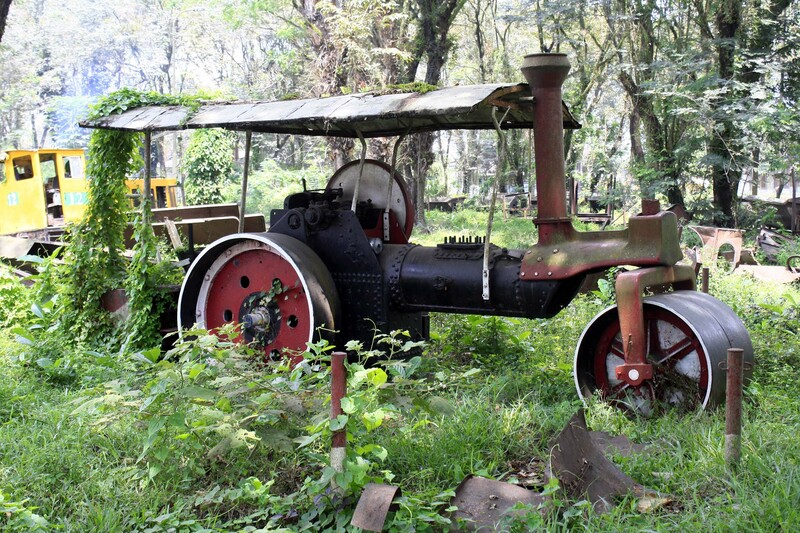 Upon nearing the shed, we are greeted by the sight of this Ruston steam roller. 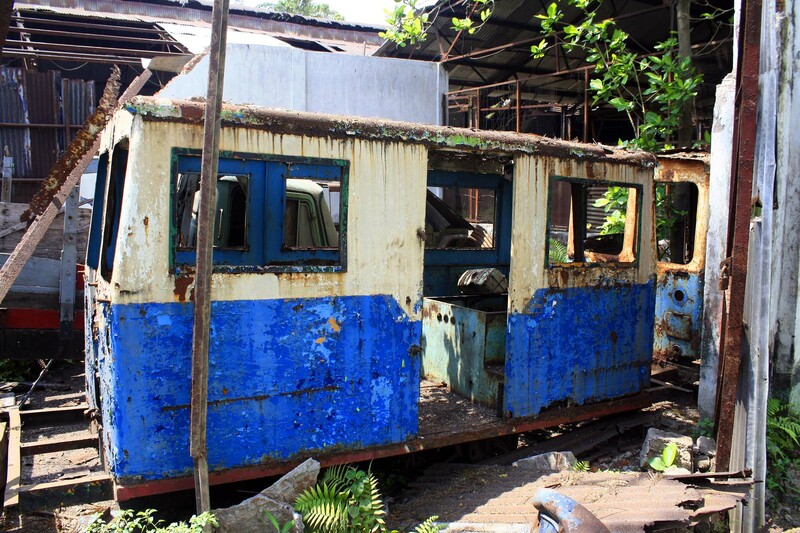 Although it looks in good cosmetic condition, it is actually no longer in working condition as it has lost many of its vital components. From there we head to the former steam locomotive shed which sadly is now empty. 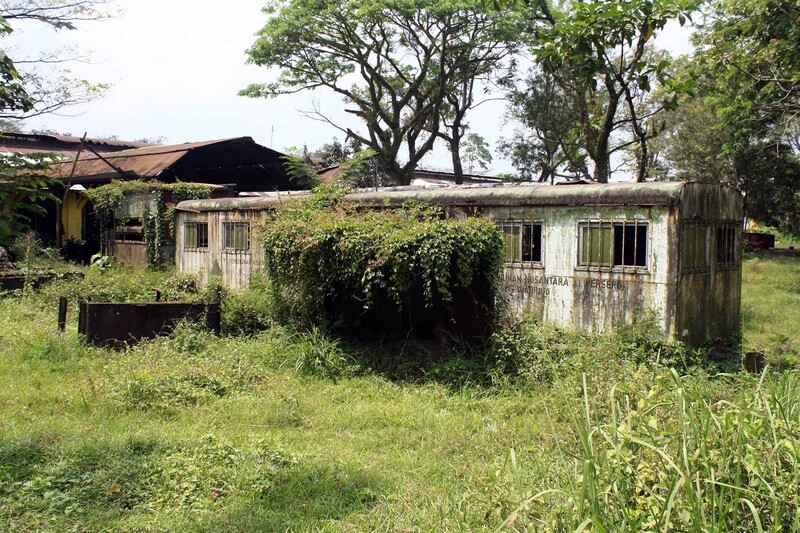 Up until early 2017, there was plenty of derelict steam locomotives parked in here. Some of them were intact and suspected to be in working condition. 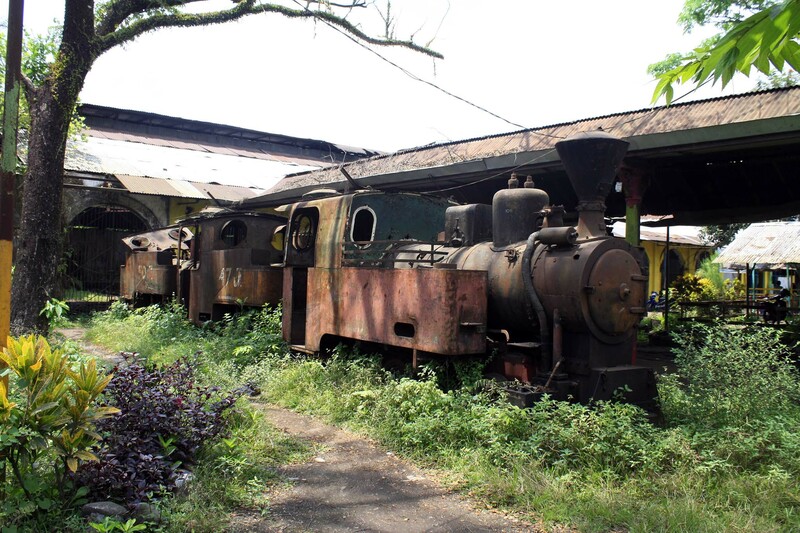 But now only these locomotives are left. One of them is obviously in a very sad condition. Leading the pack is the locomotive number J100. 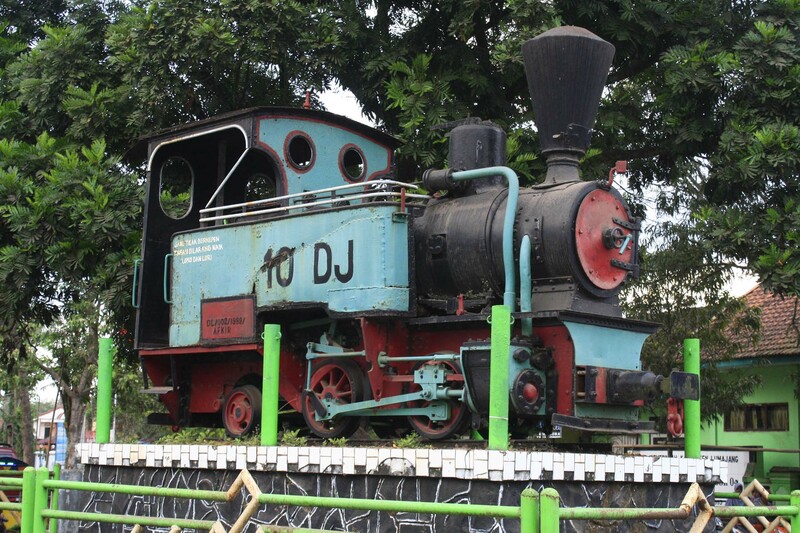 Contrary to popular beliefs among ordinary people, which said that all steam locomotives, are leftover from Dutch colonial era, this locomotive is quite new, being manufactured by Jung in Germany in 1961. 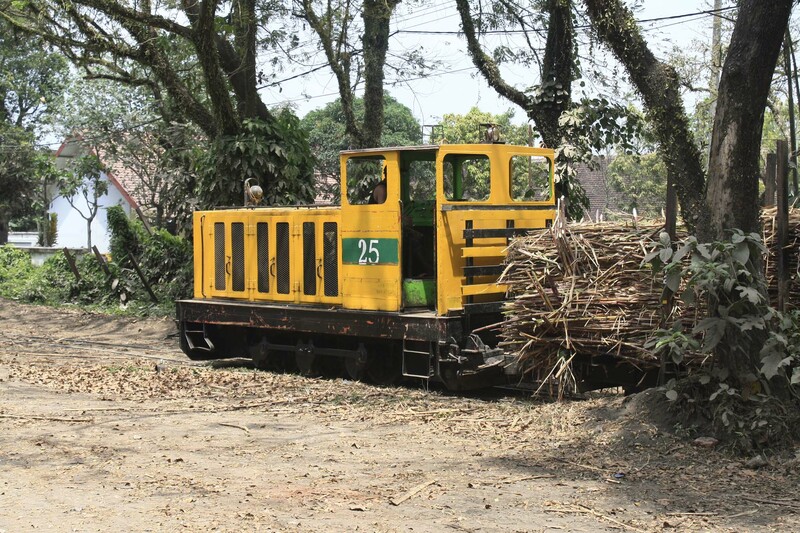 This locomotive is the twin sister of Semboro no.29. Indeed both of them were built and delivered at the same time, although they ended up in two different mills. The second loco is no. J47. This one is really old as it was built by Maffei (also in Germany in 1910). The third loco, numbered J50 is identical to J47. It is also manufactured by Maffei in 1910. But unfortunately, its cab has been obliterated. 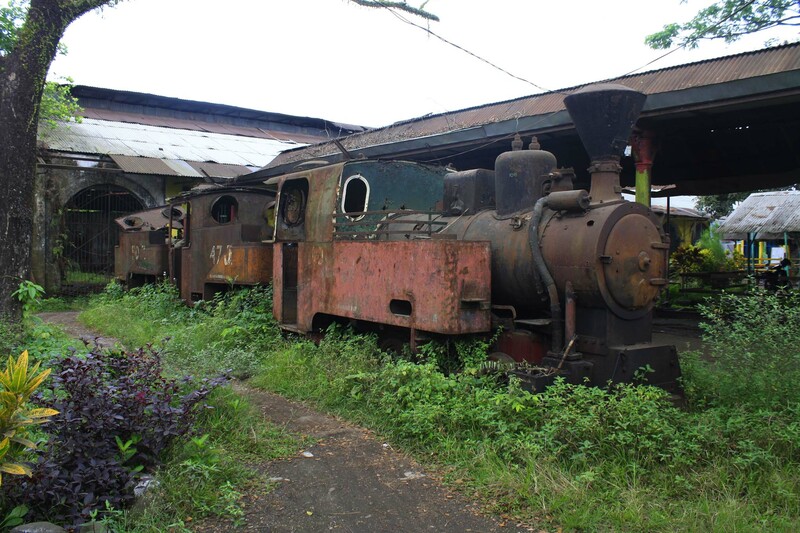 The reason why they spared this loco is a mystery. While we exploring the steam locos, one elderly lady shouted from inside the shed “The locomotives have been stolen! They’ve been illegally taken away!” I’m quite confused by what she said, so I approached her and made some inquiries. She said that there used to be many steam locomotives in the shed. 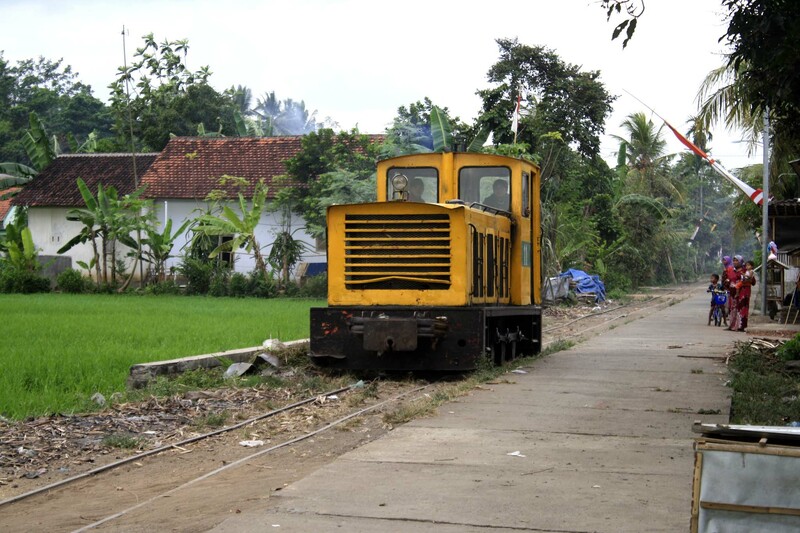 But, contrary to the news from railway enthusiast which said that they were scrapped here, those locomotives were transported intact by trucks to Gresik. Since there is a large steel mill complex in that town, obviously these locomotives are going to be scrapped and turned into liquid metal. She protested such move because it is considered as stealing. 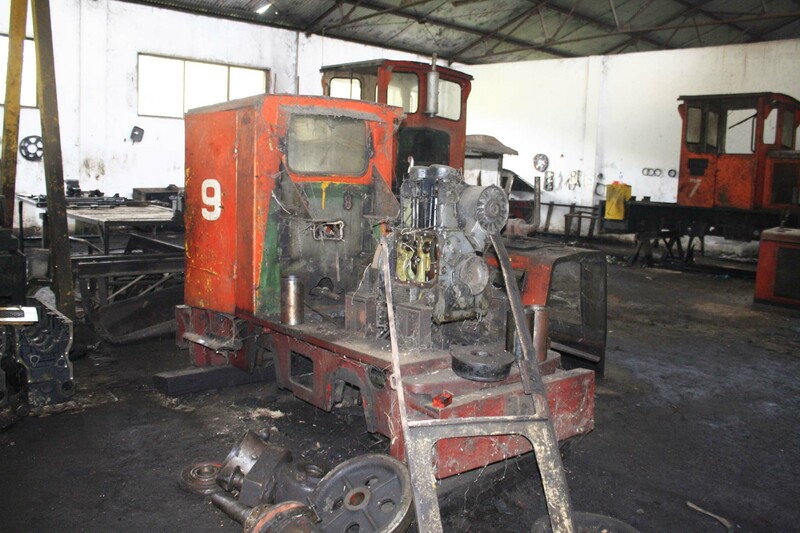 The steam locomotives, she said, are taken without permission from their original owners. 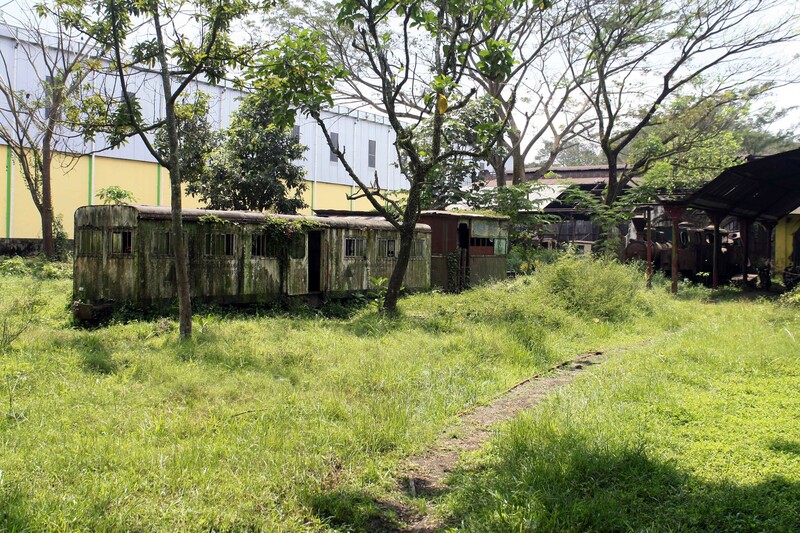 She also added that in late October, the whole locomotive shed complex will be demolished to make way for mill expansion, while the diesel shed will be relocated further south. This move would surely endanger remaining historical artifacts in the shed area, and that somehow worries her. So she hopes that I can relay her message to the PTPN XI head office in Surabaya. I thanked for her information, and promised to do something to inform the bosses in Surabaya about it. 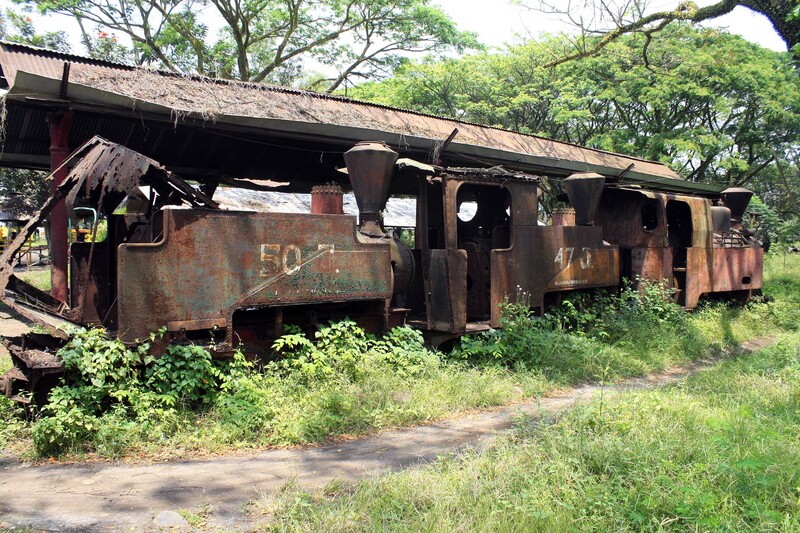 I think it is truly sad if these beautiful locomotives would ever be scrapped. 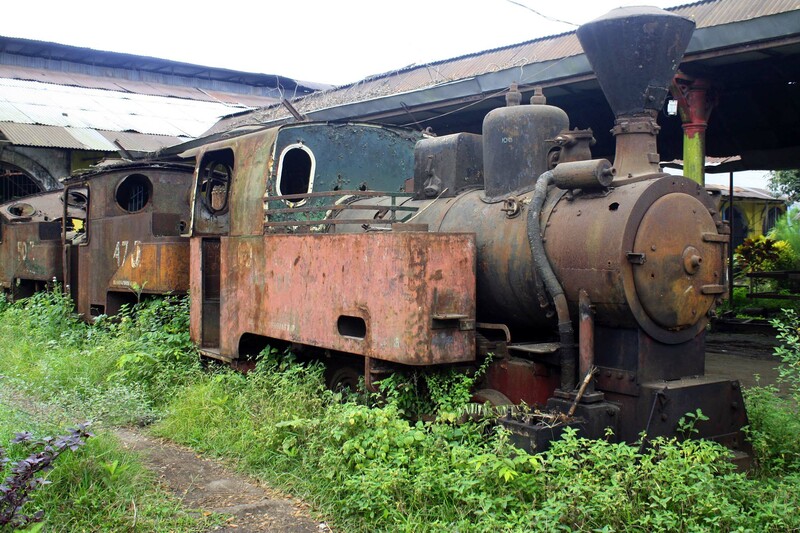 Like this J100, despite the fact that it is the twin sister of Semboro no.29, being in Jatiroto means she ended up in such a derelict condition while her twin sister is still going strong until now. Near the steam locos, there is a unique coach. 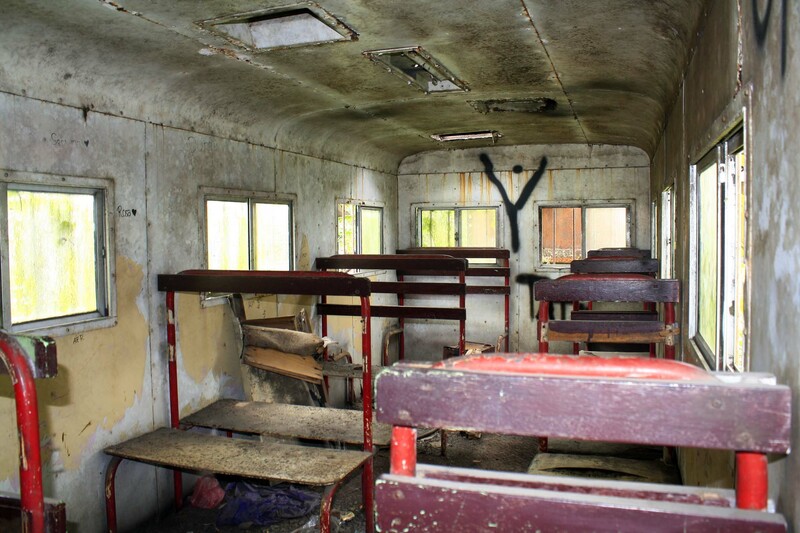 This coach is formerly used to take school children to the school. And behind it is a smaller, but taller, coach which was once reserved for the adult (either the teachers or parents). Although it looks like average passenger coach, it has a rather short ceiling that render it rather uncomfortable for tall persons to go in. I can only imagine the days when local school kids had a journey hauled by steam locomotives. It must have been a really fun trip. Even if it was taken daily! Inside the coach, the seats are mostly still in place. 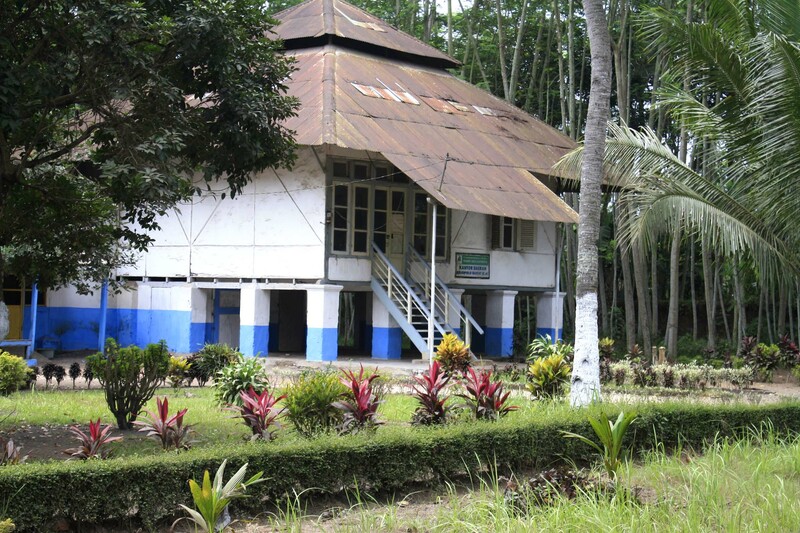 I believe back then, it was thronged by school children, enjoying their journey either by watching the scenery or playing around with their friends. But those days is now gone as they’re now traveling by school bus or motorcycles. Right nearby is this vehicle with unassuming appearance. 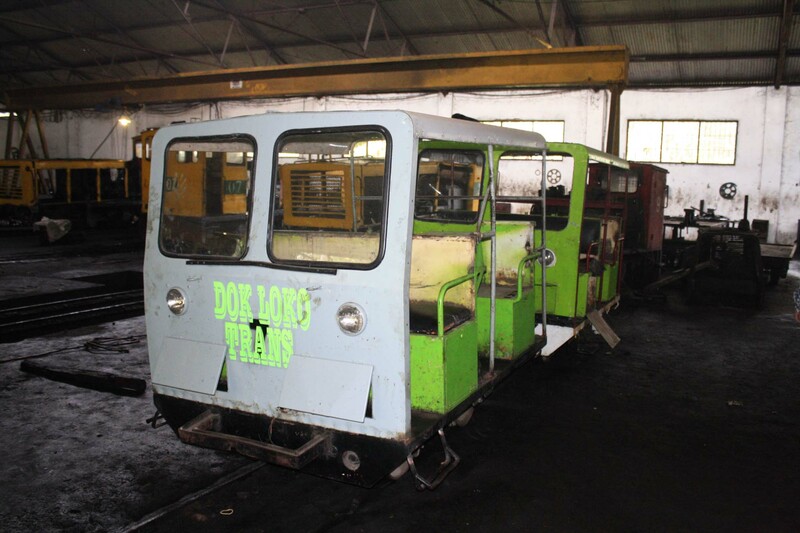 Joop said that this small inspection railcar was built by Simplex Company in Netherlands. The company itself is probably a subsidiary of similarly named company in England. Joop said that only a handful of them survive in modern era. And the one in Jatiroto is the sole survivor of its type. 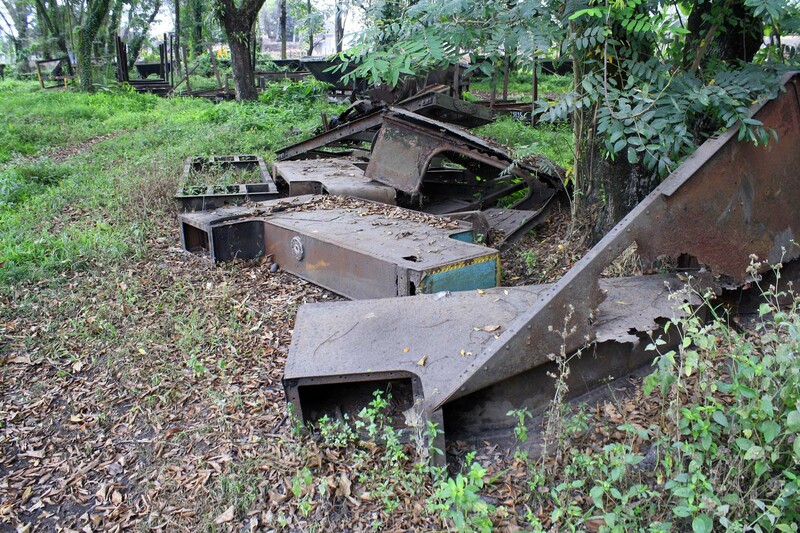 That shows how much historic artifacts littered the railway yard in Jatiroto sugar mill. 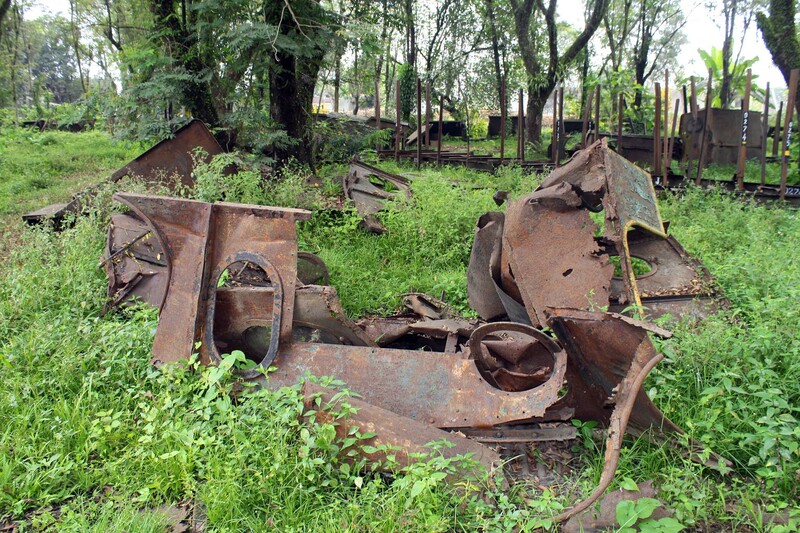 Indeed the area around the locomotive shed is full of wreckage of old steam locomotives that have been scrapped a long time ago. 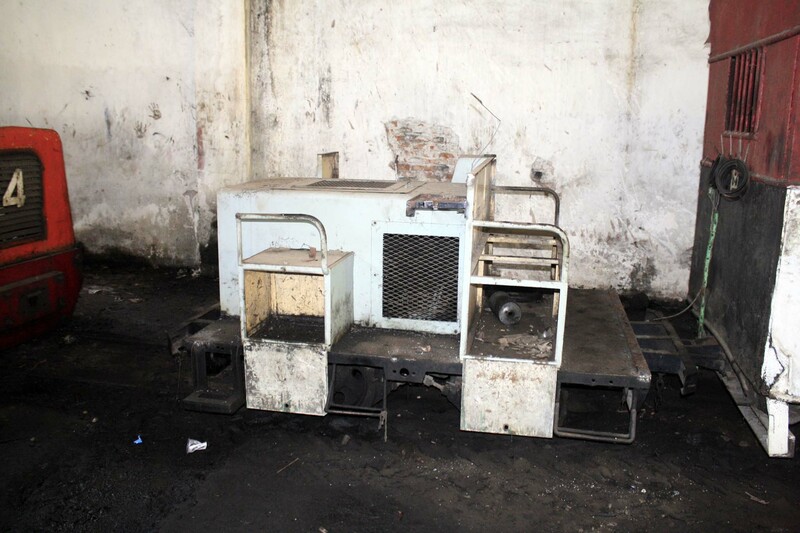 The scrappers are mostly looking for valuable parts, such as boiler or the frame. 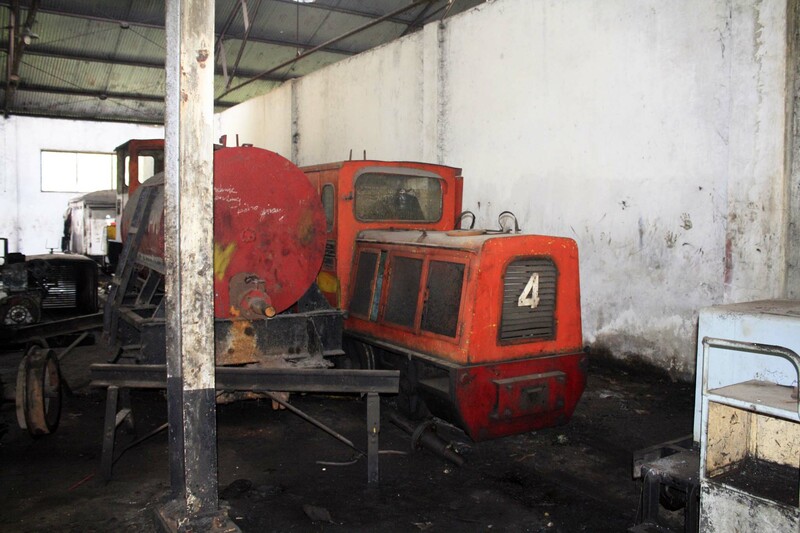 While other parts like water tank or driving cab are left behind. Seeing the disused steam locomotive chimney bringing tears to my eyes. I believe up until early 1990s this was part of a very active locomotive and used for heavy duty task hauling sugarcane trains along the vast field lines network. But not, it sits silently, never to be used again. Some other may still remain in intact condition. 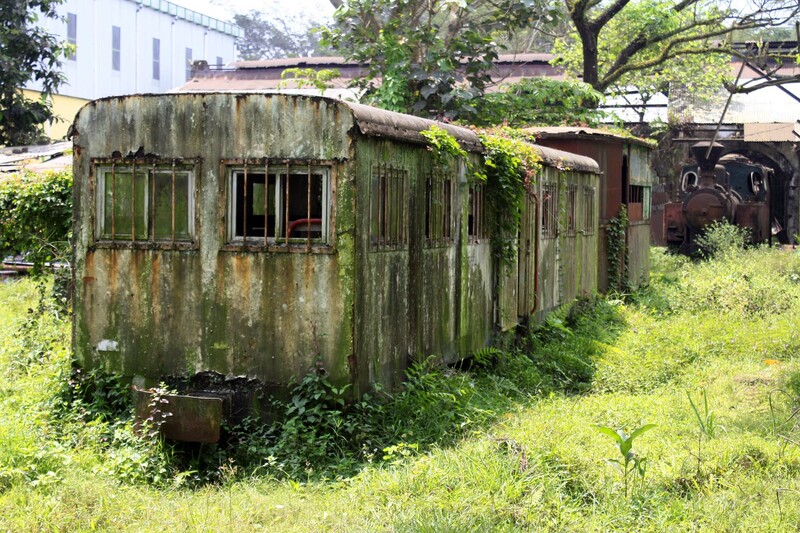 Like this mysterious railcar, this was probably used either for school kids or inspection vehicle. 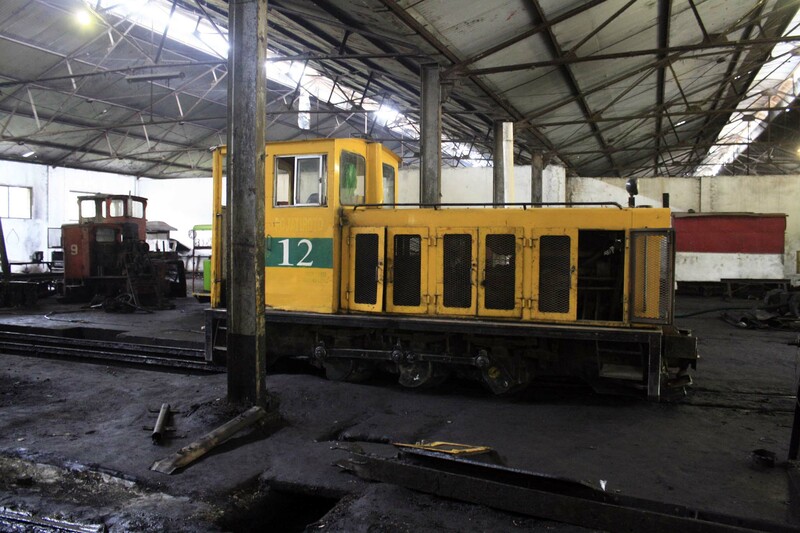 From the wreck, we return back to the shed to see the active diesel locomotives servicing activities. Most of the diesel locomotives now consist of Japanese Hokuriku-built locomotives, where all are painted in yellow color. 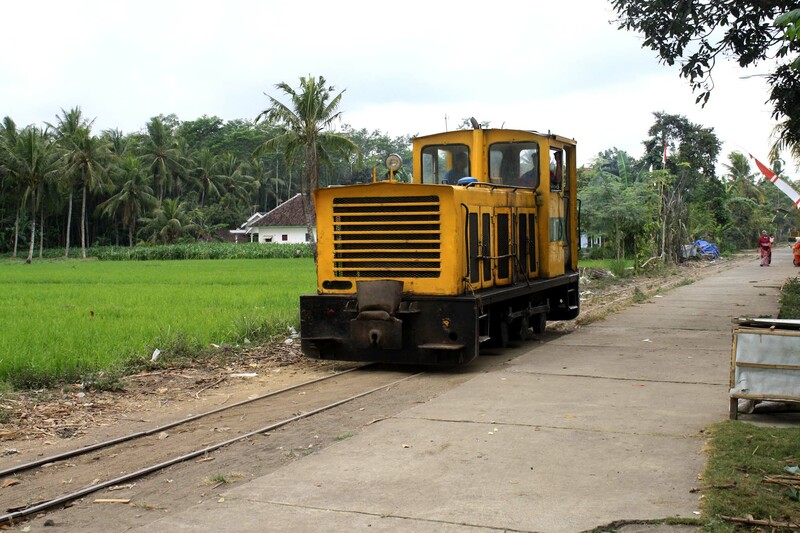 These locomotives were introduced in 1970s and 1980s as part of Japanese economic aid for Indonesia. 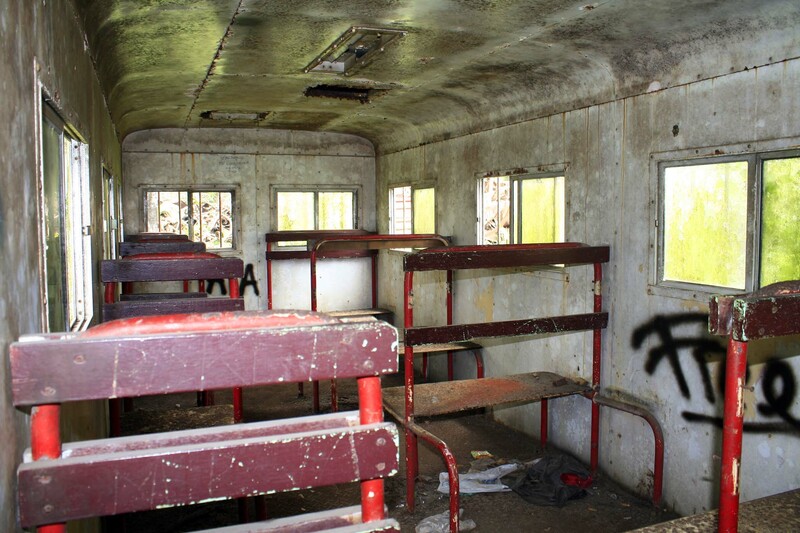 However, in the back of the shed there are several disused German built Schoema locomotives. They’re smaller in stature than their Japanese counterparts, and seem to have been in here since 1950s or 1960s. 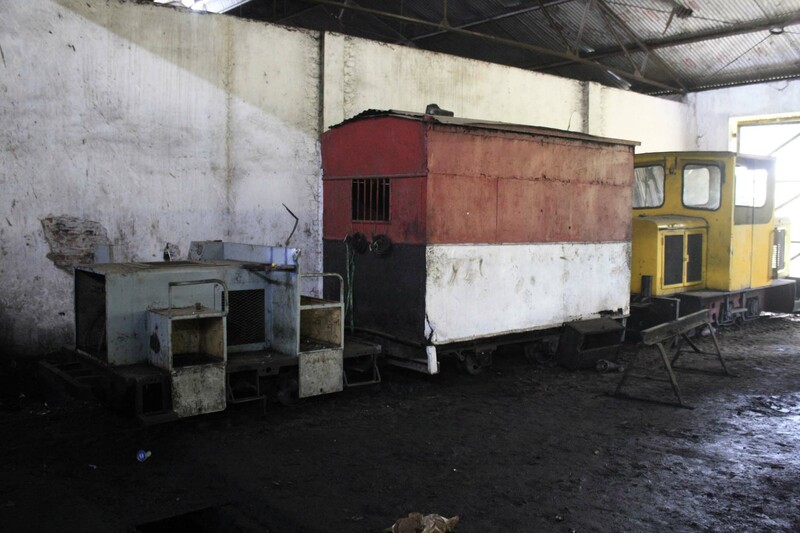 Possibly working in conjunction with the steam locomotives like what I have seen in Sumberharjo or Olean sugar mills. 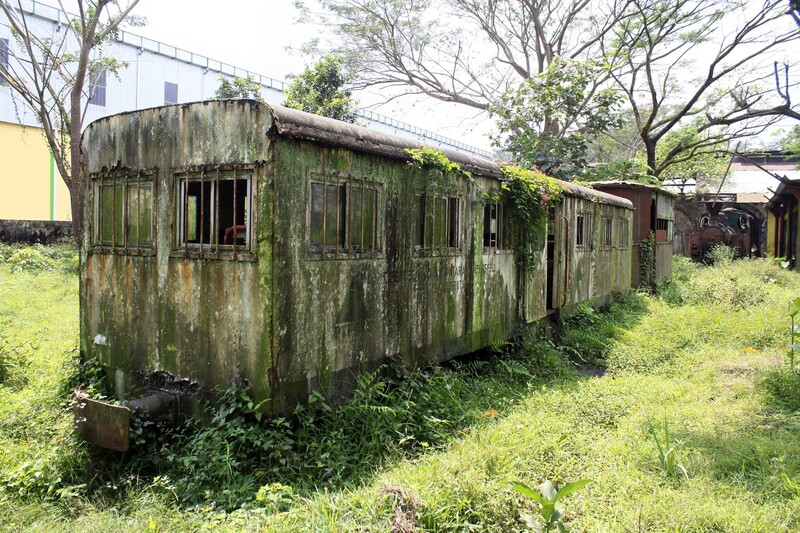 Aside of old diesel, I also found this inspection railcar. Despite of its skeletal appearance, it was actually manufactured by reputable factory back in Europe before Second World War. This white rail vehicle is quite a mystery for me. 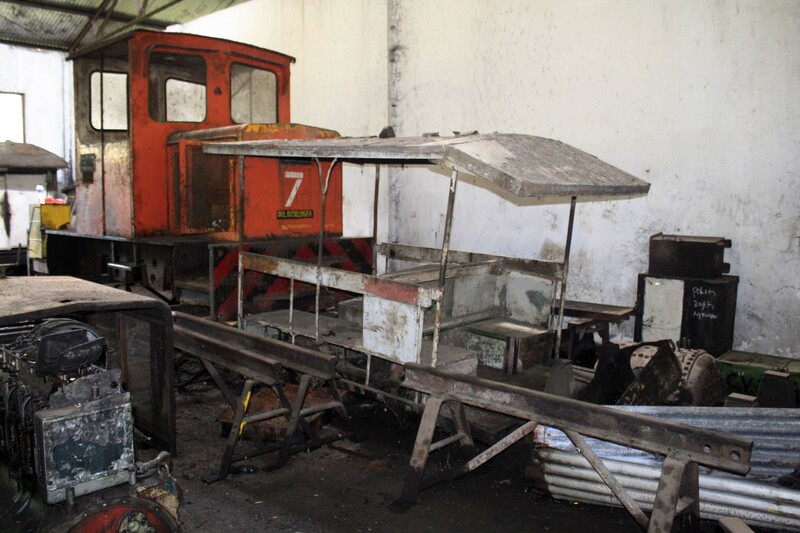 It looks more like track maintenance vehicle than just a plain inspection vehicle. I wonder what is it for? It is parked next to a boxy rolling stock, which I assume a former locomotive tender. 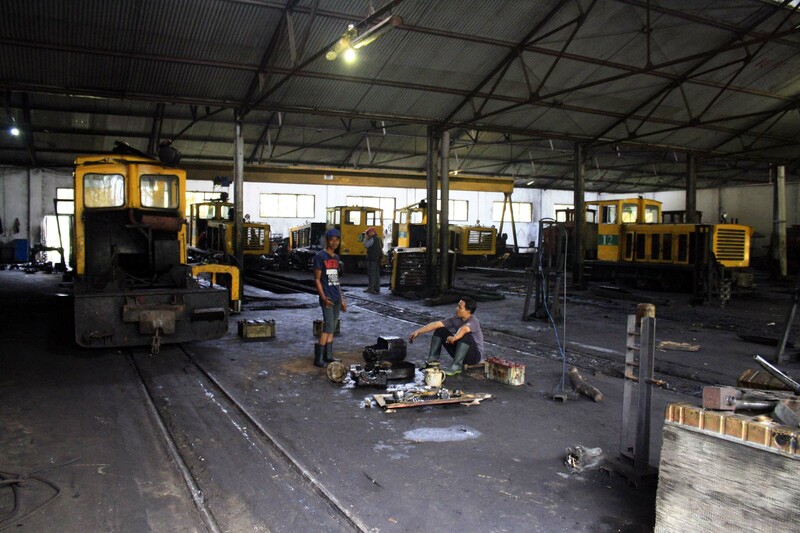 Jatiroto also operate some newer inspection railcars. They’re mostly used to inspect track conditions, as the usage of road vehicle would be impractical. 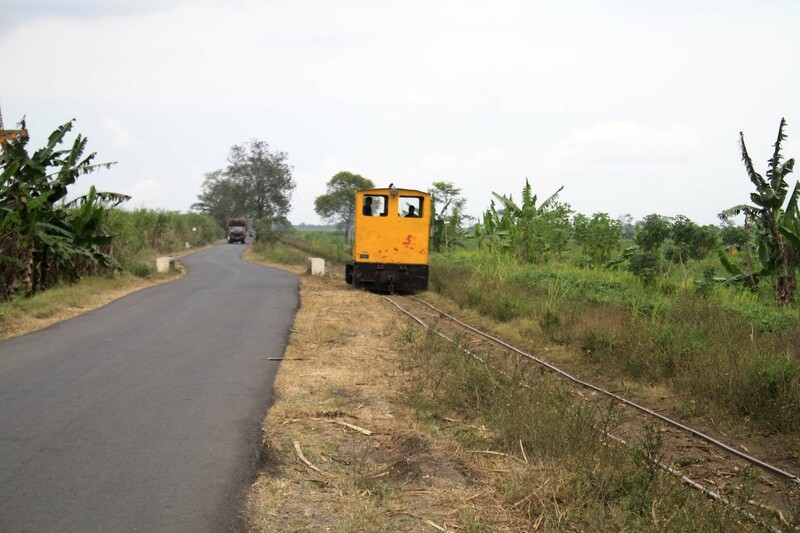 Indeed prior to our visit, there were some British railway enthusiasts who hired them to compensate the absence of working steam locomotive in Semboro. We move out from the shed and looking around the area. 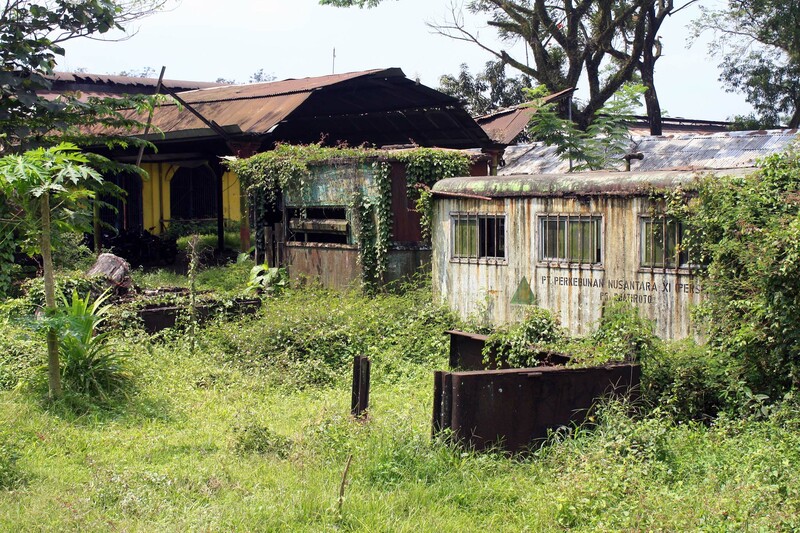 It seem that the adjacent shed is already in the process of being demolished, leaving its inhabitants in limbo. Like these boxcars, and one unidentified railcar. I went into the shed master’s office to find out the whereabouts of the locomotive in the field today. I introduced myself to him, and he kindly welcomed me to his office. I asked him about the locomotive operation on that day, and asking on where the locomotives have gone to. While I was expecting him to mention the locations, surprisingly he only mentions the number of the locomotives that have gone out in the past 2 hours. He said that there are 7-8 locomotives that are out in the field at the moment, delivering empty wagons into the field. He honestly lost count on where have the locomotives have gone to, because there are many that go into the same field alone. 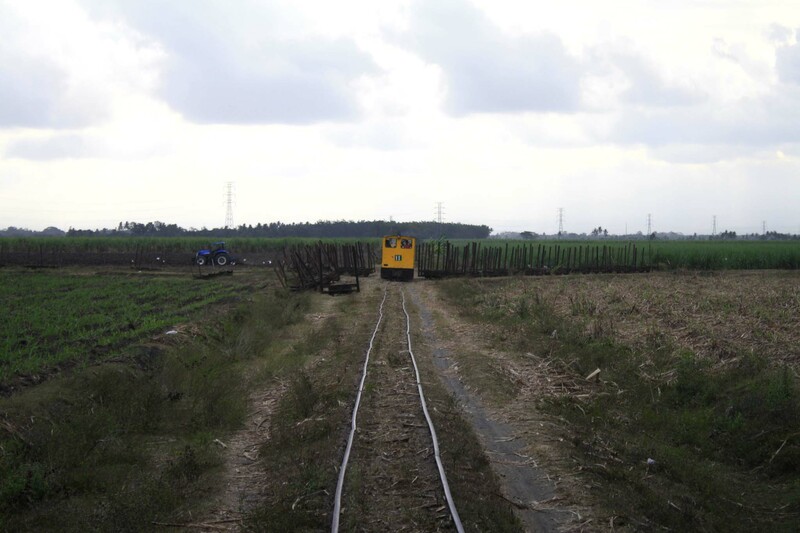 And Jatiroto sugar mill have many sugarcane fields being harvested! 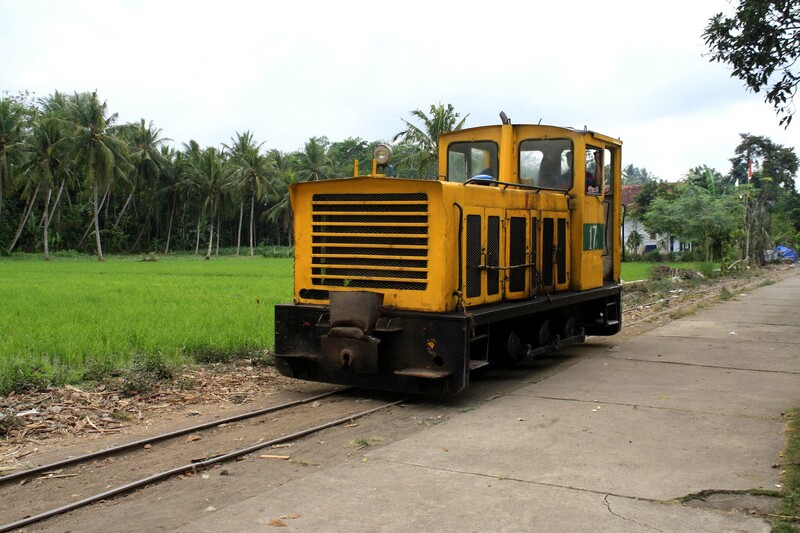 Basically, there are many locomotives that go into the fields in that hour alone. 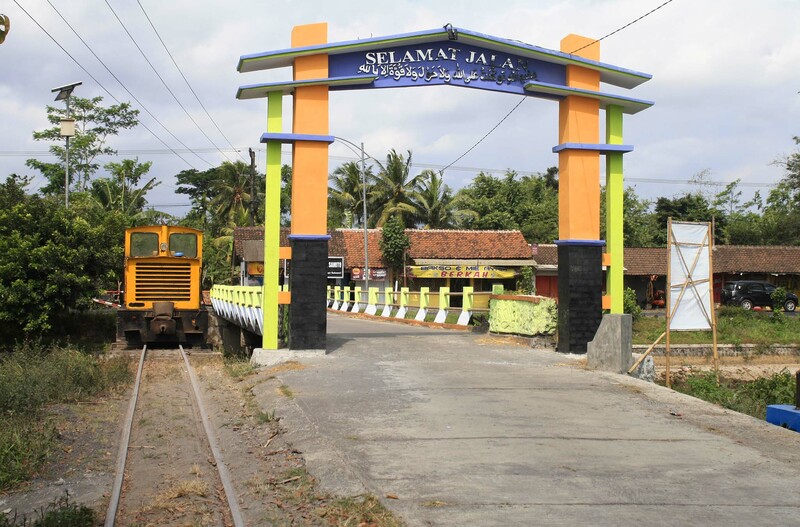 Unlike in Kedawung sugar mill near Surabaya, whom I’m familiar with, where the pattern of their field lines operation are predictable: 2-3 locomotives delivering empty wagons in the morning and retrieving loaded ones in the afternoon, things goes in much more complex fashion in Jatiroto. I bid farewell to him and return back to Joop and Geoff. 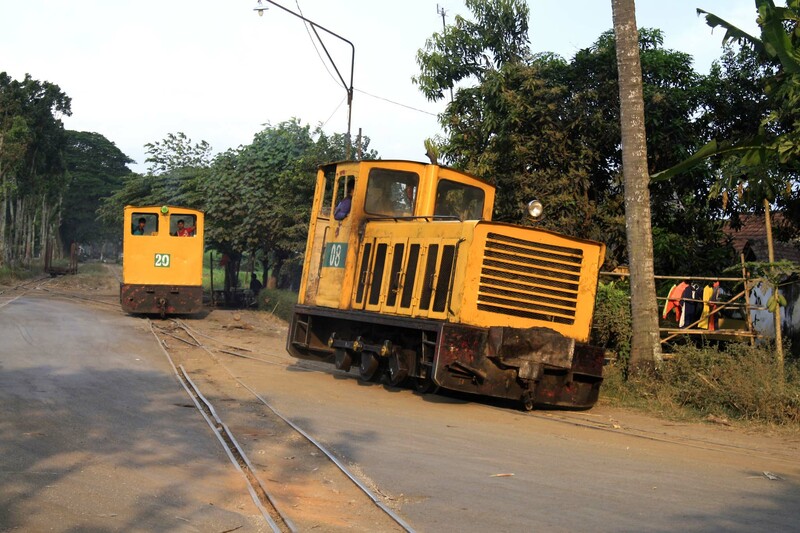 Both of them said that they’re satisfied with locomotive shed exploration, and he think that it’s time to start exploring the field lines. Before that, I need to return back the entrance pass and retrieve my ID card in the security post. Now, my nervousness returns back again. Would I still be required to pay the entrance fee this time? I’d found out soon. In order to reduce chance of being detected, this time I parked my car slightly further from the security post. I greeted the security officer there, and handed back the security pass. The officer promptly returns back my ID card without any questioning, and we’re free! Wow! How lucky I am today that I manage to save precious amount of money! I happily return back to the car, and we start exploring the field lines. First, we follow the main road that plying a double track section that goes to the south west direction from the mill. 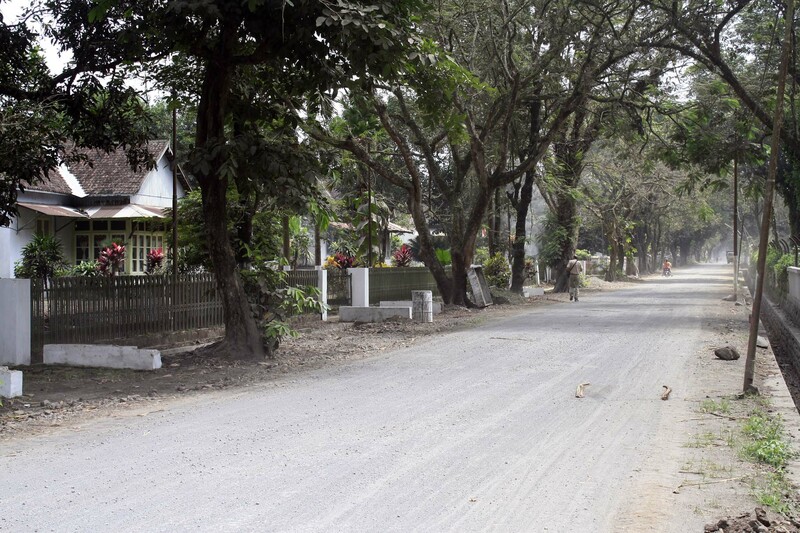 Despite of the absence of villages, the road is amazingly busy. Mostly it was the trucks and tractors that use the road, although sometime we also see some villagers riding their scooters. It doesn’t take long before we encounter our first train: a lone diesel engine running light engine back into the mill. Possible after dropping empty wagons somewhere in the field. 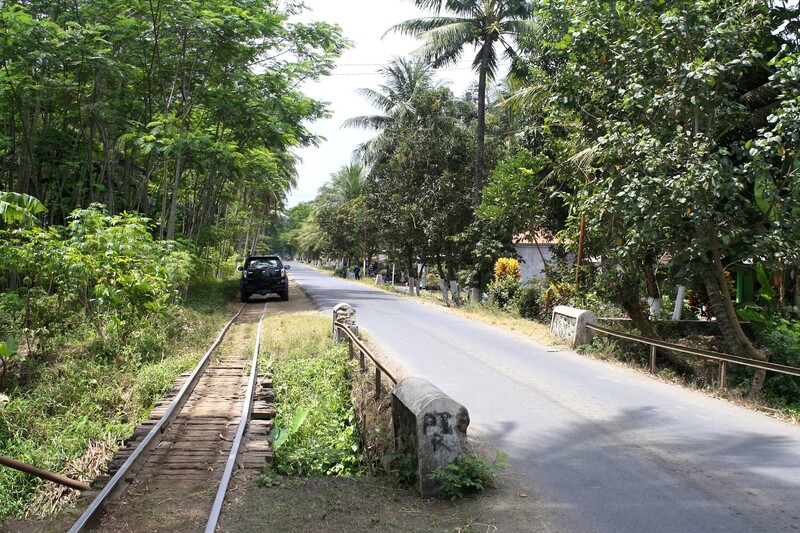 Once in a while the railway line crosses through some villages. As we went further, we encounter many branches that go either to the south, west, or even north. And very few of them are adjacent to road passable by anything bigger than motorcycle. It might be disadvantageous for us who want to hunt down and photograph the train, but that is the reason why this mill still retains large number of its field lines. We followed the track that goes straight ahead. And we followed them all the way until its end. Although the track originally looped back into the mill’s direction, when we came there the loop track has been removed, effectively converting it into a stub end. Indeed there are some lines that no longer in use and having their rails removed. Since there are no other things to see, we decided to head back north. 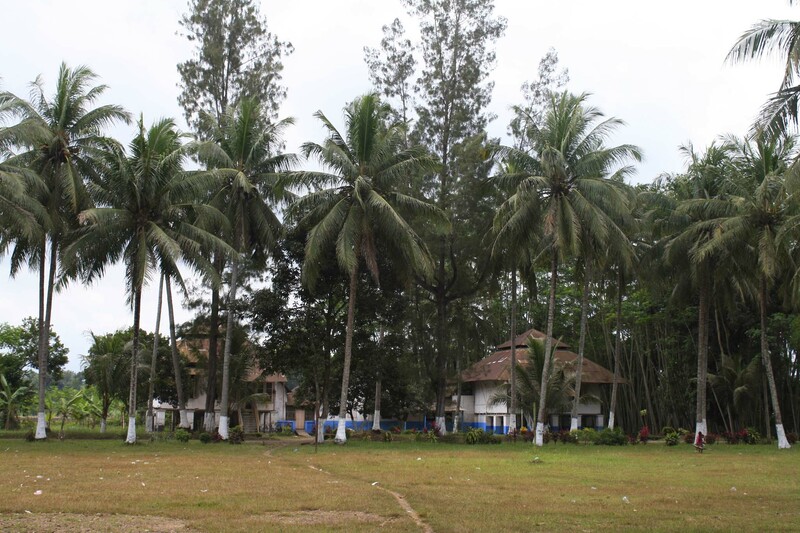 As we go through, we came across one very pleasant neighborhood, consisting of classic stilt houses that surround one open field, which is also surrounded by coconut trees. 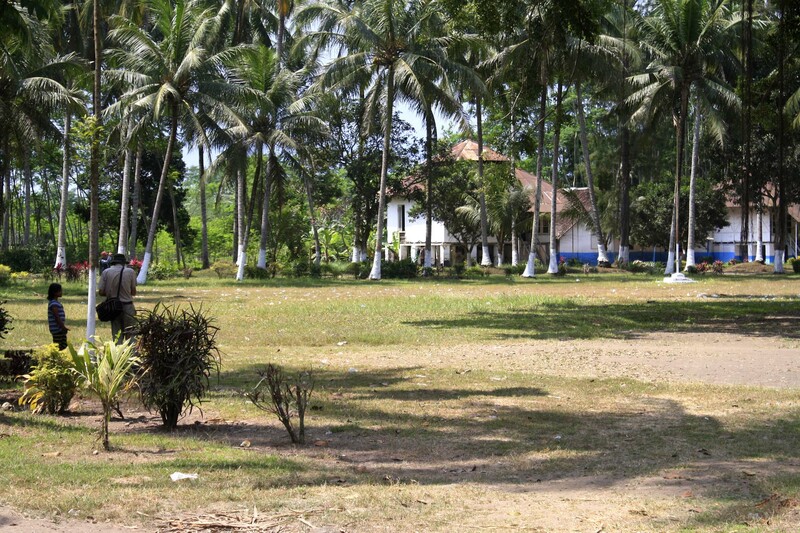 It is called Rojopolo complex. 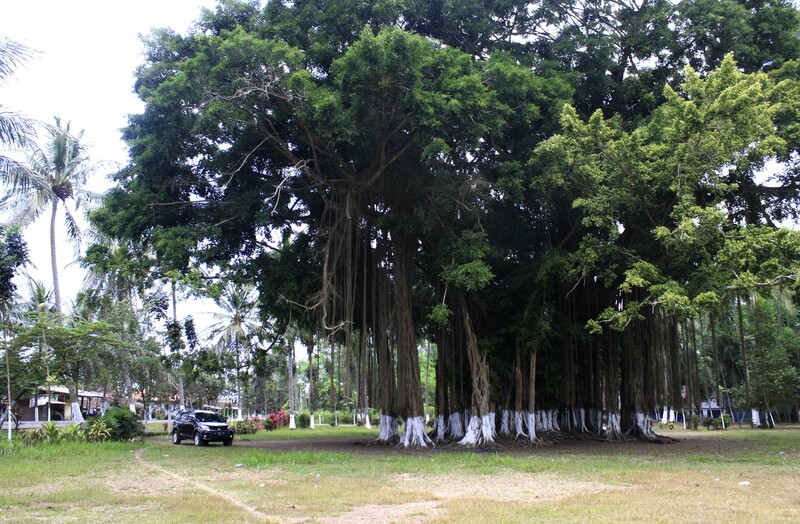 In one corner of the field, there is one huge banyan tree. The tree seems to have been planted since the opening of Jatiroto sugar mill itself. Many of the houses in this area are built on stilts. This design is commonly found in Sumatera or Kalimantan, but rarity in Java. 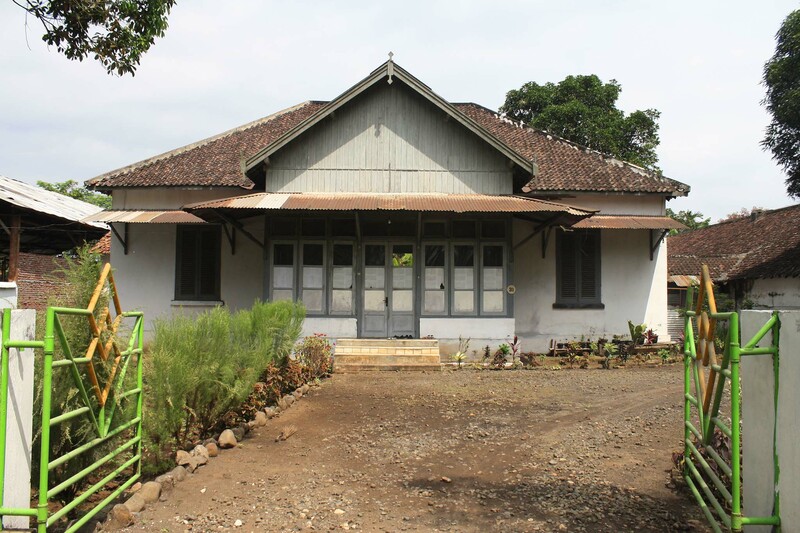 Such scene giving impression as if we’re in colonial era Sumatera, despite the fact that we are in moern day Java. Some local kids found the presence of two Europeans here as amusing. Some of them tries to engage conversation with Joop and Geoff. This place must be a really fun place to live for this children. Even better is the fact that it is just next to the field lines. I believe that one of the destinations of the school train that we saw in locomotive shed was here. 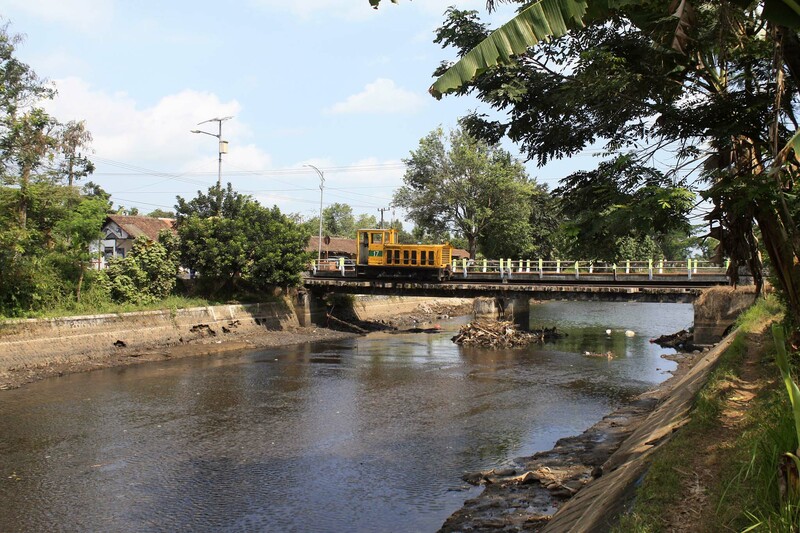 We think that this scenic neighborhood might be a good place to photograph passing train. 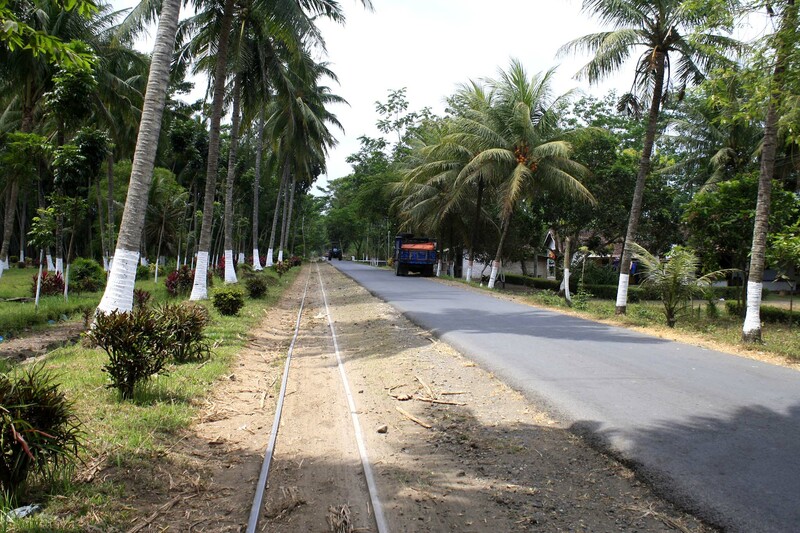 But since the train’s arrival is uncertain, we decided to return back to see if there is an oncoming train. If we found one approaching, we will return back to Rojopolo to take photo. As we move further to the mill’s direction, we saw a small yellow object in the distance. 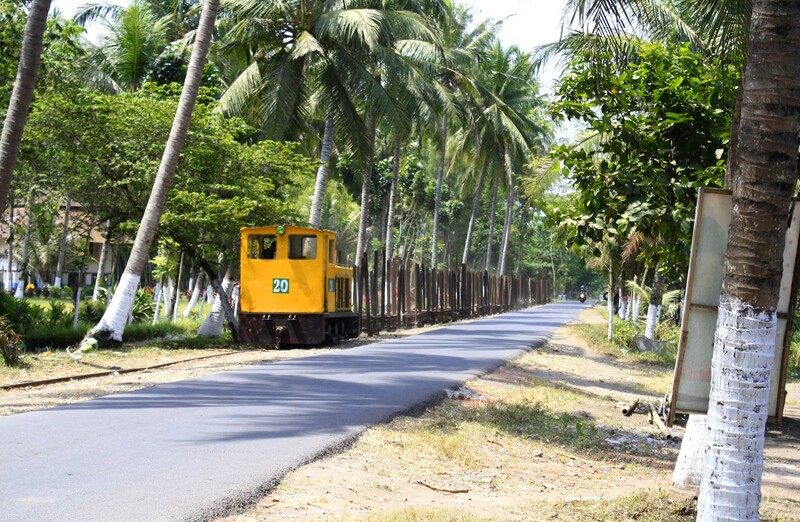 At first we were doubtful whether if it was a train or not, because once in a while we saw some trucks or minibuses whose are painted in similar color. Only when it gets near then we realize that it is indeed a train! We quickly return back to Rojopolo to photograph the train. Since there are several branches between the mill and Rojopolo, there are some doubts over whether if the train would go to Rojopolo direction. Indeed, although the train got near, it briefly stopped in the junction before Rojopolo. Only when it gets really near that we can confirm that the train is indeed passing through Rojopolo. We took some photos and video in here. It was really great place to take photo. Although in my opinion, it would have been even more dramatic had the train was loaded, and hauled by steam locomotive. 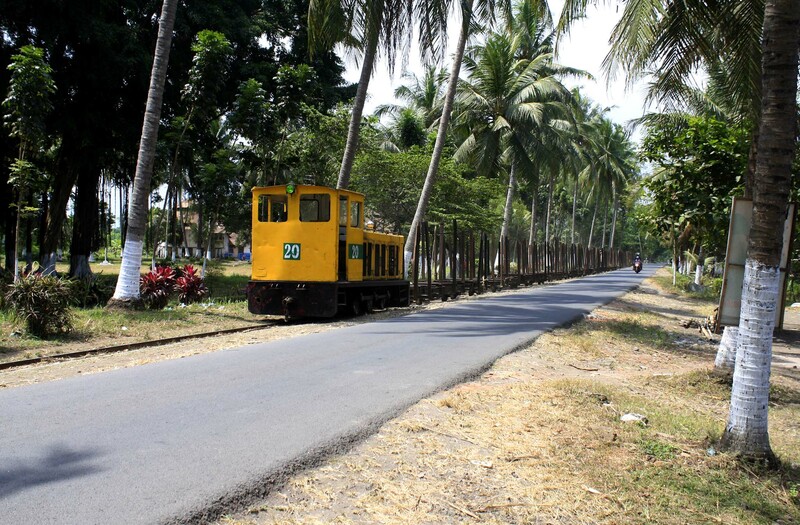 We wrap up our trainspotting session in Rojopolo and head into the main road, where we would search for trains on the northern sugarcane field. 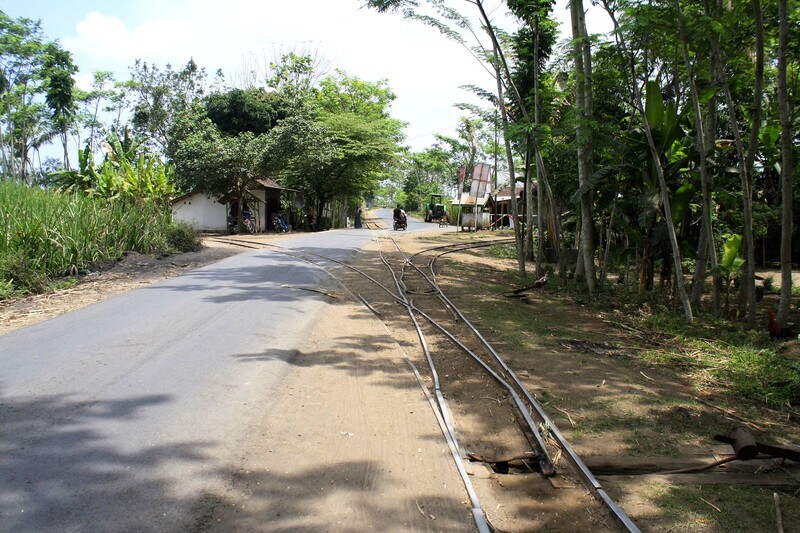 We drove along Jember-Lumajang main road where there are several level crossings of Jatiroto’s field lines. Some are in operations, but there are many that obviously no longer in use, either they’re covered in tarmac or even already have the tracks removed. But somehow we caught not one, but two locomotives! They’re parked idle right next to the main road. I quickly parked my car on the roadside, and then start finding spot to photograph the locos. It’s quite interesting on why they park one of them on the bridge. 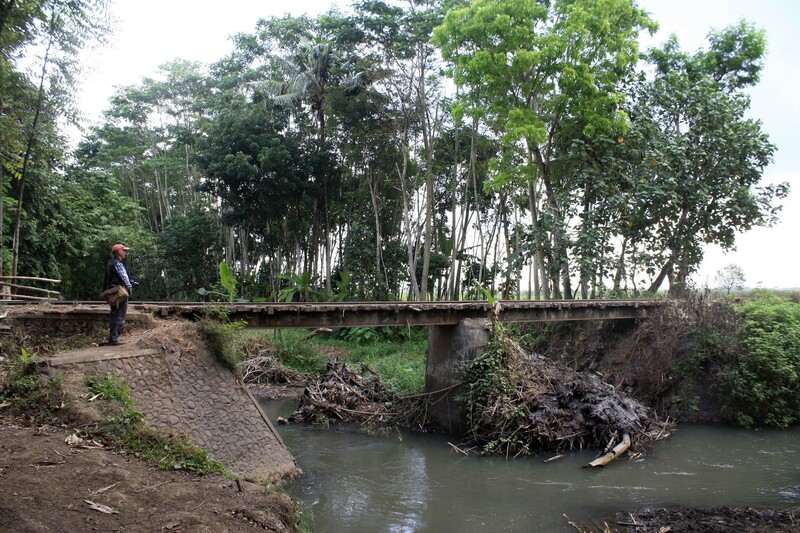 And this bridge is quite obscured if you’re driving from Jember direction, because it is blocked by the road bridge that connects to one village deep inside the plantation. 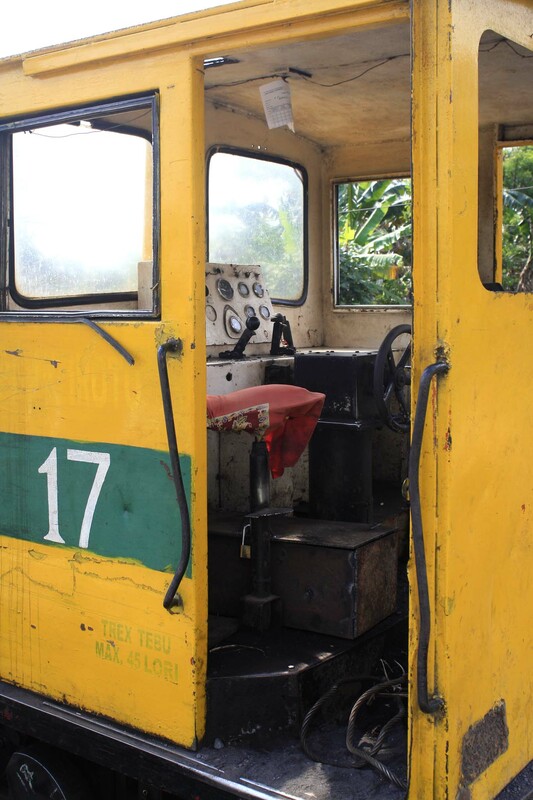 I also peek inside its cab, to see its driving console. Unlike Kedawung’s Keio Yashima locomotives, this one have forward facing desktop console. While enjoying our time in here, Joop’s illness suddenly got worse. He vomited profusely, and nearly fainted. But fortunately, he regained his composure, and able to recover. Still, we definitely need to take a break and head for lunch. I drove around the area and looking for any eating places that may be suitable for us, especially to cater Joop’s special need. Since the area is rather sparsely populated, finding good eating place is rather difficult. There is one nice restaurant actually, but unfortunately it is fully booked for a wedding party. I wish if we can gatecrash it, had we wore more appropriate attire. Eventually we ended up eating in one small restaurant who serves many seafood varieties. The owner, unaccustomed to foreigner, are all too excited to see Geoff and Joop coming to his restaurant, while somehow ignoring me. The food in this restaurant is actually quite good. The taste may be slightly above average, but considering its low price, it is actually worth coming. After we finished our meal and paying the bill, we resume our hunting. Joop also partly recovered. He seems to be in much better shape than before lunch, although he is not really fit enough for this tour actually. We return back to the same spot where 2 locomotives are parked. This time the drivers are there. I talked to one of them about today’s activity. 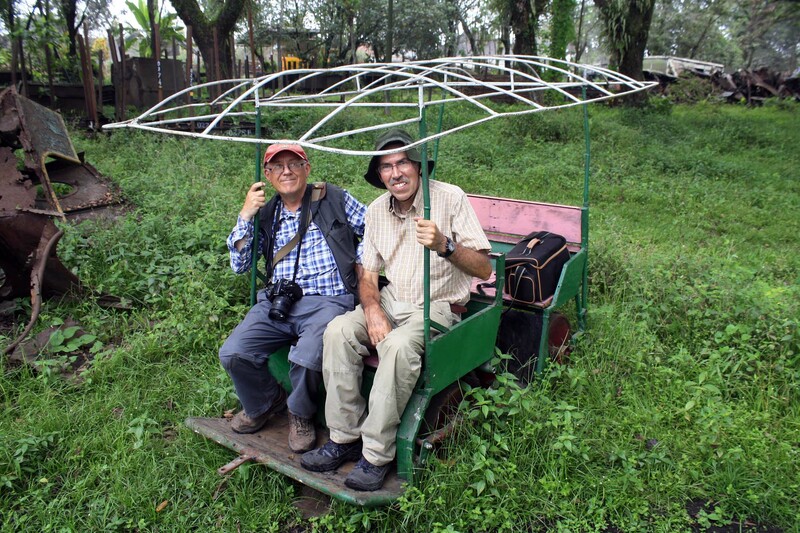 One of them told me that the locos will pick loaded wagons in the field just next to the village inside the plantation. They will also depart at 3pm. So we decided to drive to the path that leads into the village. 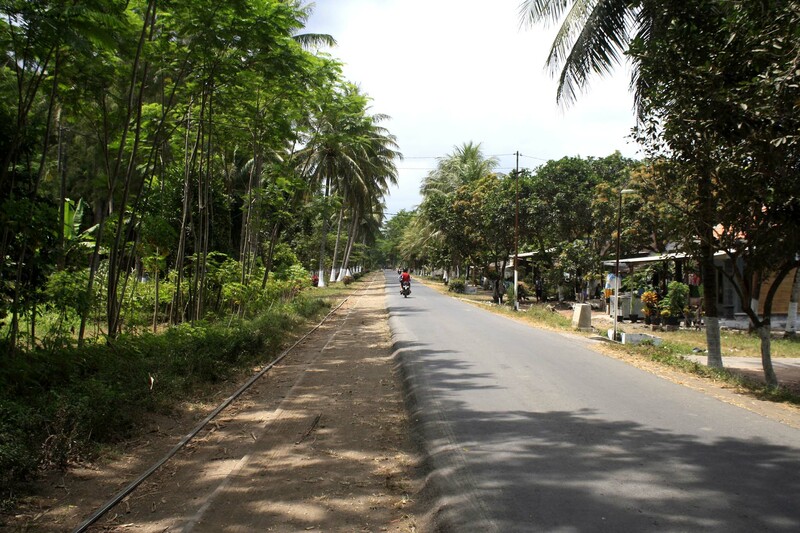 The street is quite narrow and can only be passed through by one car at a time. Sometime in the middle, we also came across one junction, although the branchline seem to see no activity that day. After some arduous driving, we finally reached the end of paved road. Anything beyond that cannot be accessed by road vehicle, and we must walk. So we decided to park the car in front of a house. The owner doesn’t mind to have our car in front of her house, and she allows us to do so. We waited for some time in the village, before the locos turned up right on time. 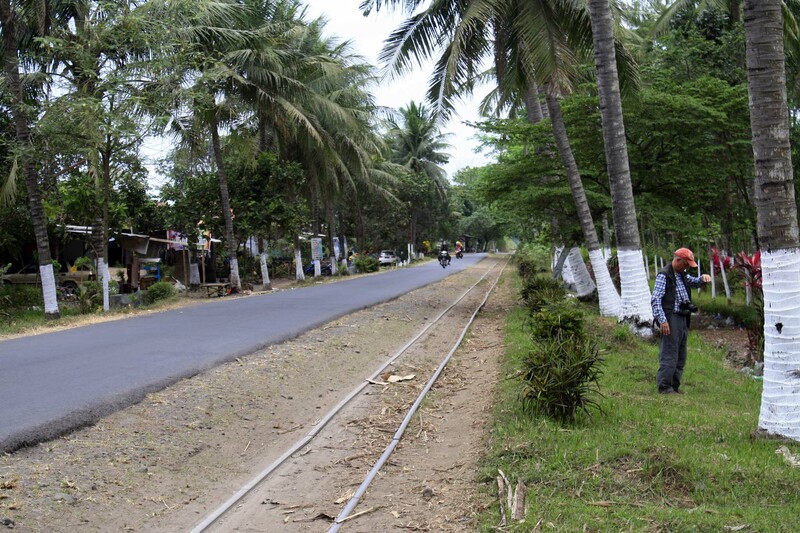 The villagers are amused by our activity in photographing the train. 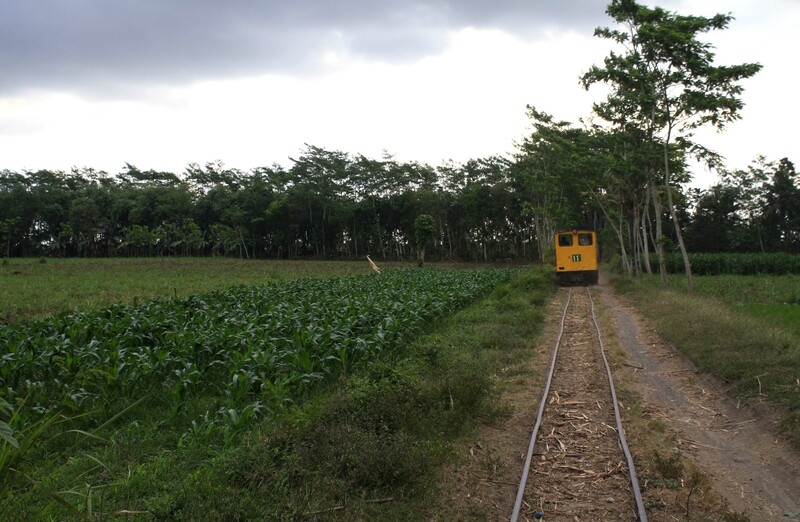 Although many foreigners have hunted down sugarcane train in Jatiroto, their village had largely overlooked by visiting railfans. We followed the locomotives all the way into the field. 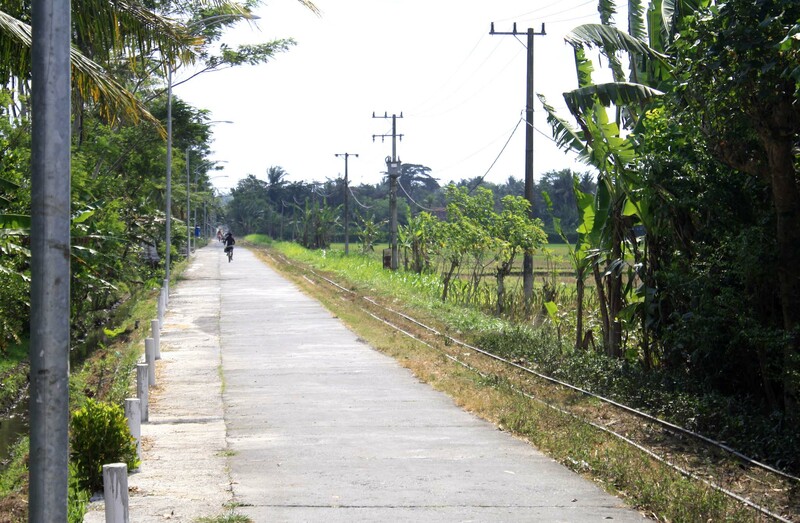 Although predominantly a sugarcane plantation, there are some blocks that are planted with anything but sugarcane. Just meters from that place, we also see another junction. This must be a really extensive railway network! And the loco stopped just next to a quite scenic bridge. We decided to wait in this spot, while the locos are working in the field. The place seems to be a good place to photograph passing trains. 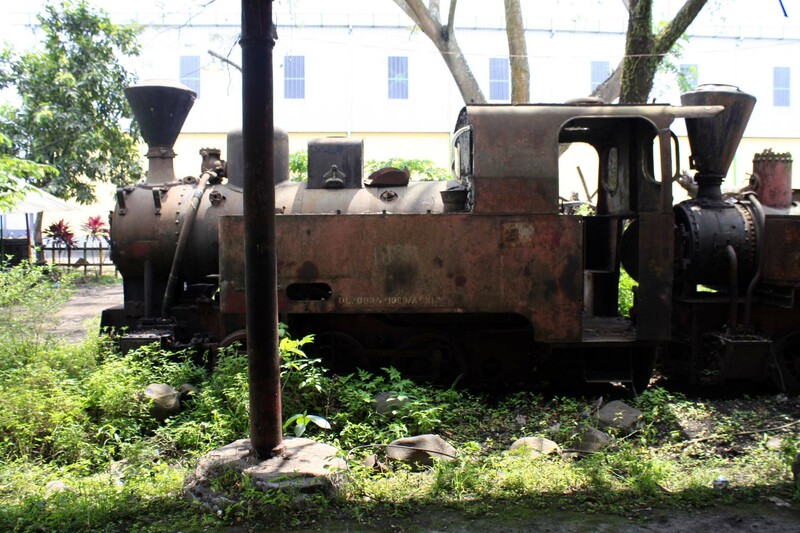 But as we waited, we became increasingly curious because the locomotives don’t return back. 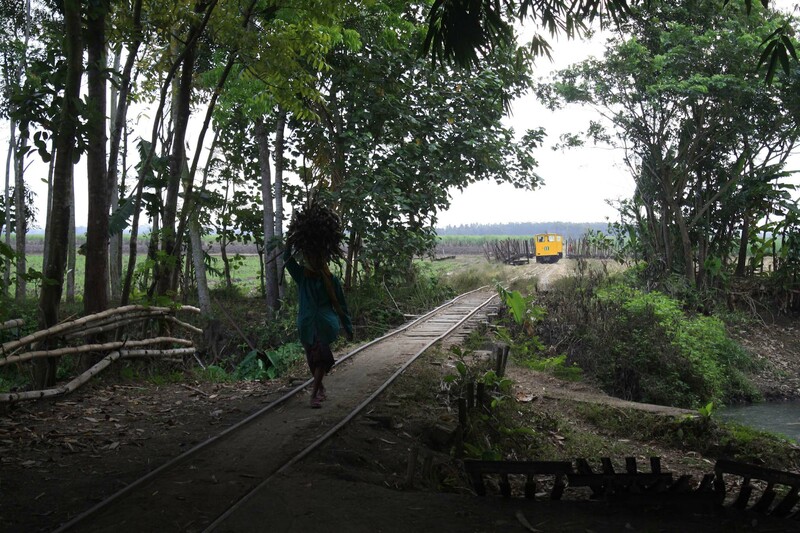 When we go into the field, we found out that the locos, instead of approaching, are receding into the distance. The reason why they waited in that spot remain a mystery, and obviously they’re not going to ply the same line again, even when they haul loaded trains, because they can go back to the mill through another line in the distance. So we decided to head back to the mill’s entrance to try our luck there. Who knows if we may be able to caught one or two loaded train? Once arriving at that specific spot, we waited on the junction, just at the starting point of field lines. We hoped that we might be slightly luckier this time. While waiting, a couple of workers arriving at our spot. They introduce themselves as track maintenance workers. They’re going to start their night work shift. They’re asking about our purpose in this place. I replied that we’re waiting for the loaded train to arrive. 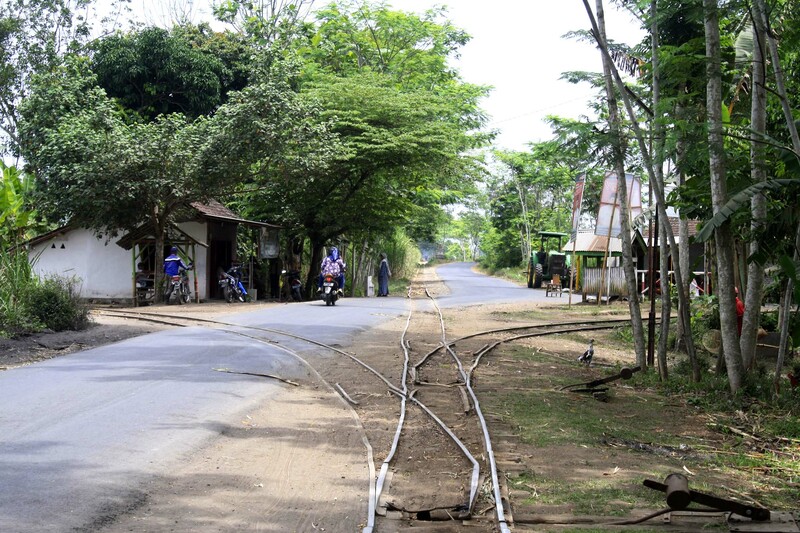 Apparently, as they explain, loaded trains never arrive in the afternoon in Jatiroto. The earliest train would arrive around midnight, while the majority arrives between 3am until around 10am. 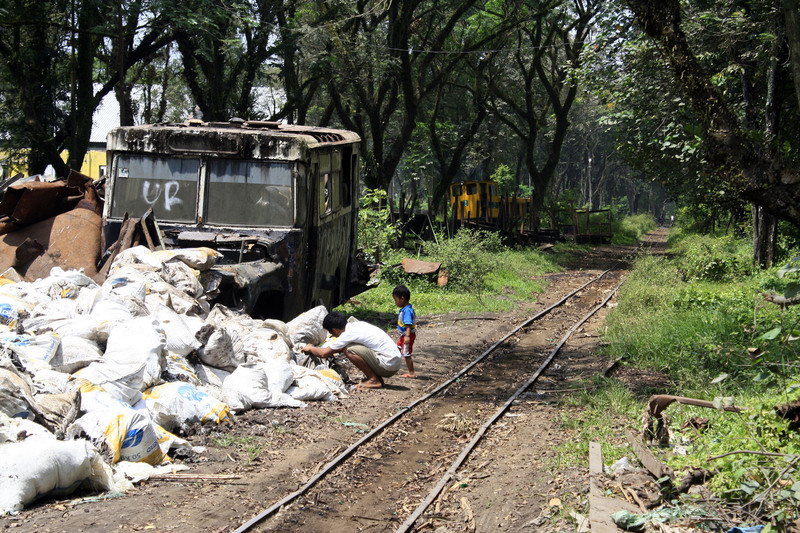 Hmm, I remember I saw some loaded trains activity when we first arrive in Jatiroto. 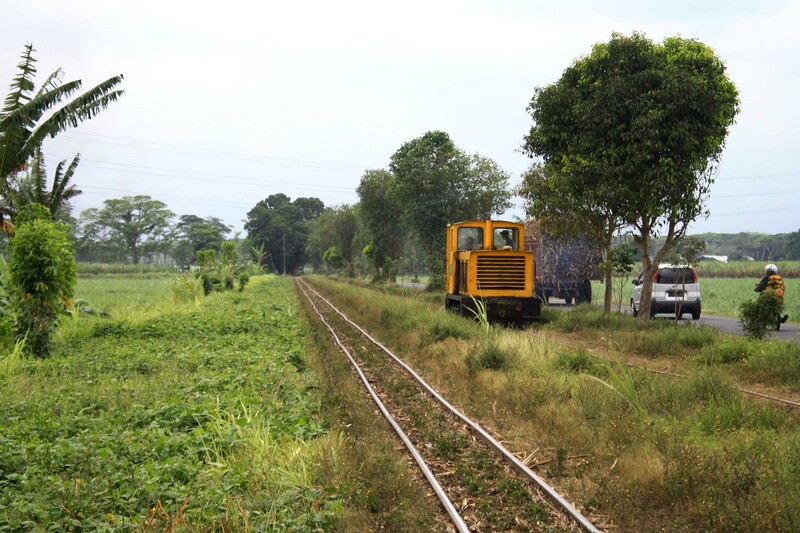 Could it be that it was actually a field working, instead of just ordinary shunting? They also added that during harvesting season, the whole sugarcane plantation would be buzzing with activities for 24 hours, because there will always be activity. Even cutting activity may also be done at night. But outside harvesting season, the area is rather unsafe and crime prone. Our conversation was suddenly interrupted when a pair of locomotives coming from the mill and heading to the south west direction. 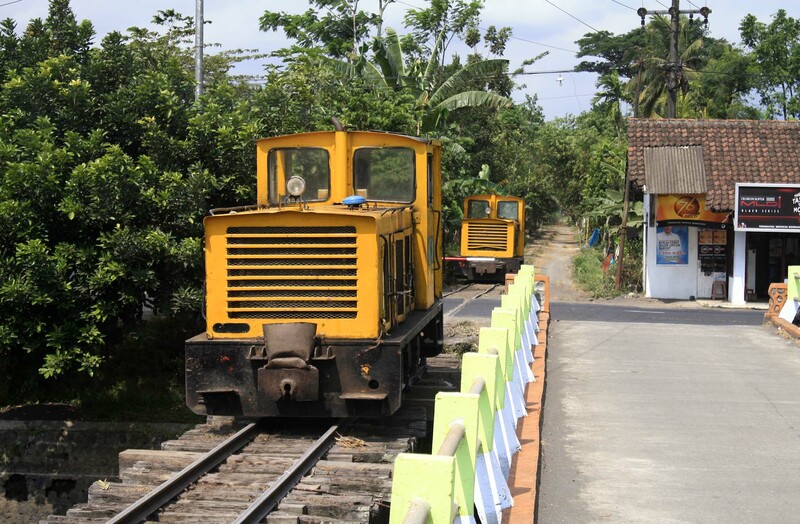 Once the locomotives disappear, we bid farewell to them and return back to Jember. Along the way, we drop by at this locomotive monument to take some photos. 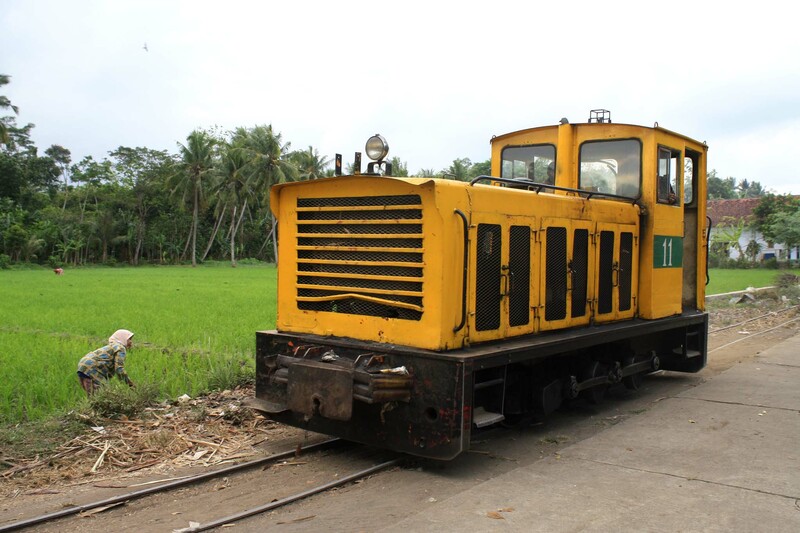 This type of locomotive was once ubiquitous. But now, she is the sole survivor of her type in Jatiroto. We also try to find the remains of cape gauge connection to the mainline, as well as its associated locomotive shed. 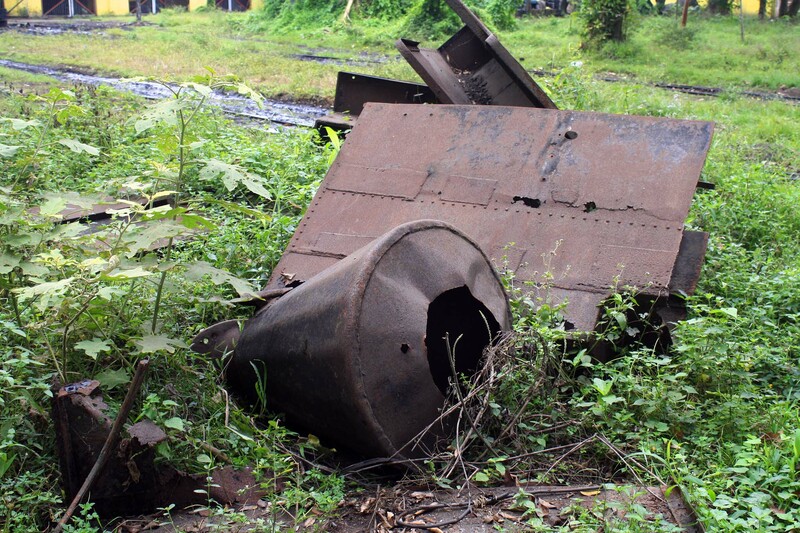 Although we did find them, we couldn’t trace the remains of the steam locomotive used on the service. Upon returning back to the hotel, we took the shower. 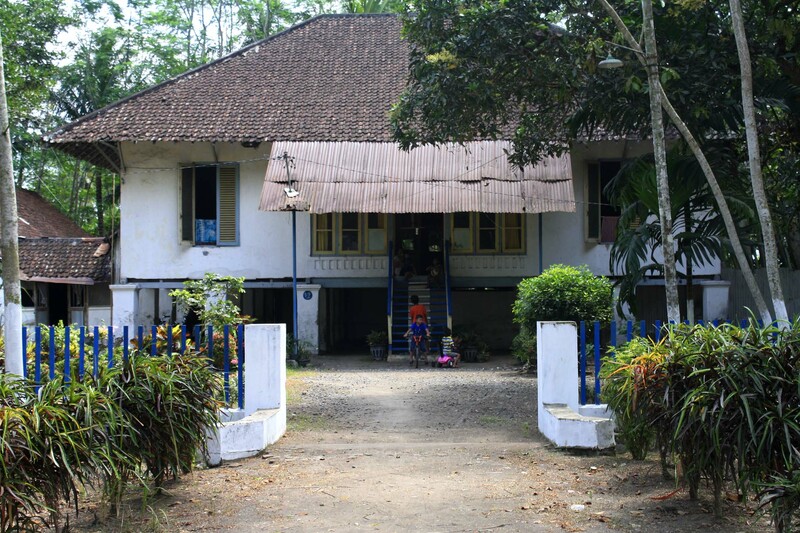 I also catch up with my brother, who spent the day by traveling around Jember and resting in the room. We go for the dinner in the nearby restaurant, minus Joop who decided to take some rest. Although Joop couldn’t made it, he give some tip about one nice restaurant near the hotel. 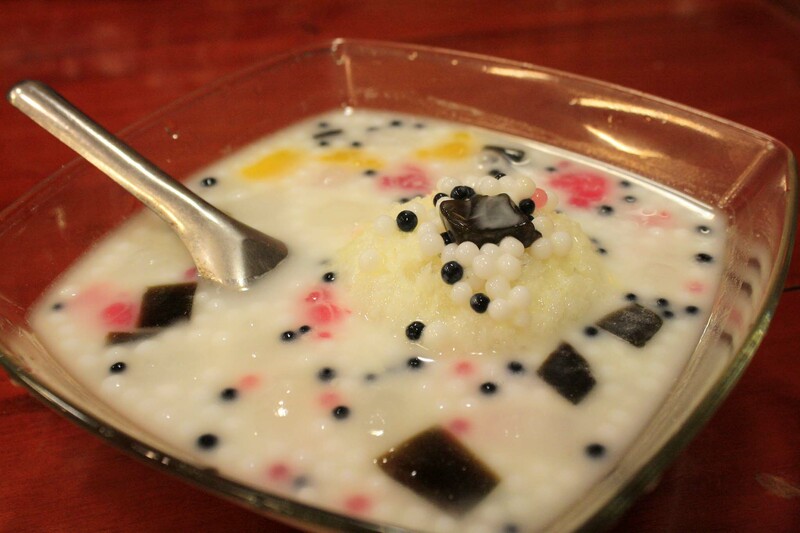 The name of Qunyit, an ethnic restaurant who sell variety of food. 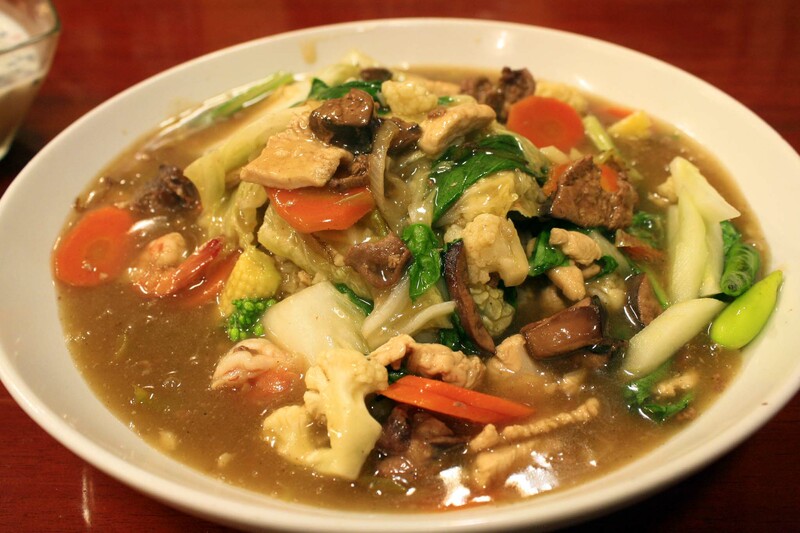 I ordered this “Cap Cay” stir fried vegetable for my meal. The drinks is “Es Campur” which tasted really nice. It was a really enjoyable dinner. The portions are quite big, yet we don’t need to dig too deep on our pocket for it. And above all, we are really satisfied with the dinner. Upon finishing our dinner, we head back to the hotel for overnight rest. 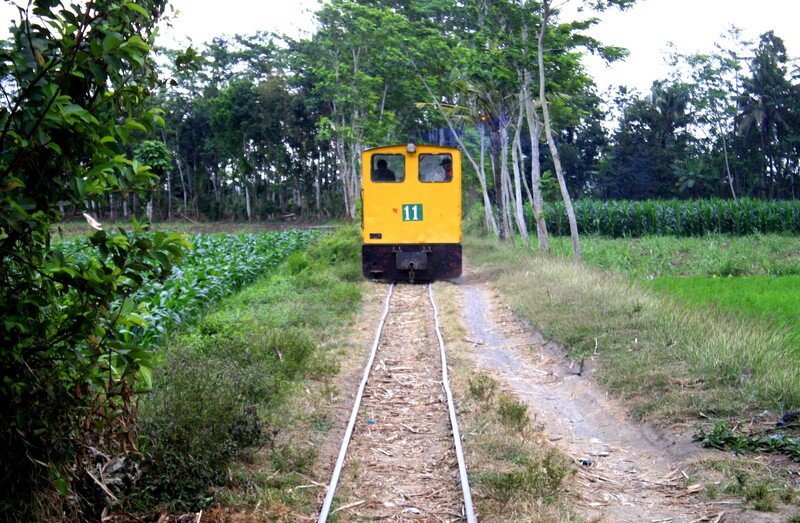 Tomorrow will be the highlight our journey because it will involve field trip with a steam train.